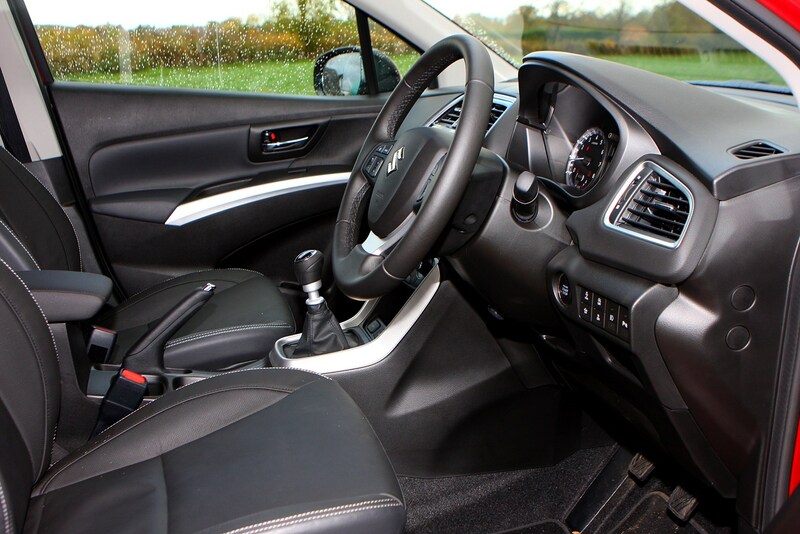 Insurance group: 13 - 26 How much is it to insure? 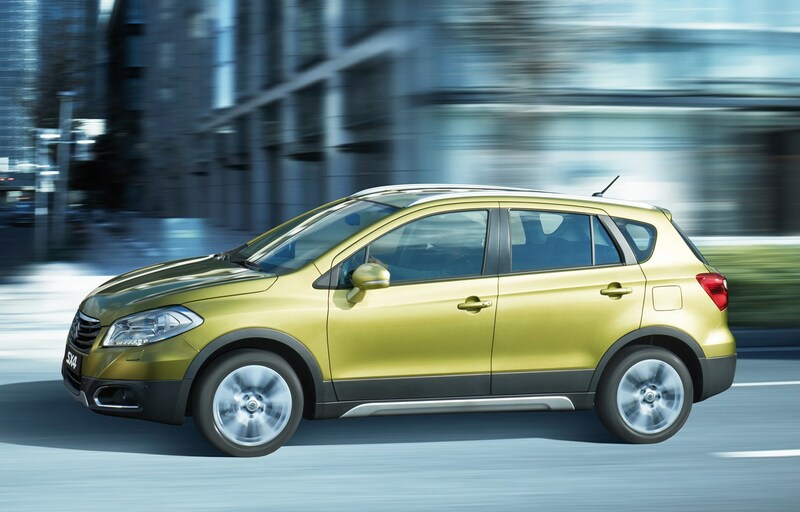 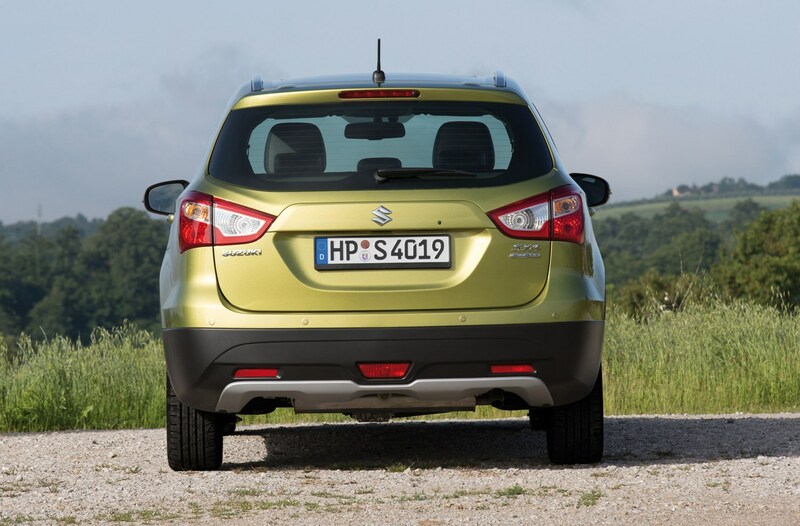 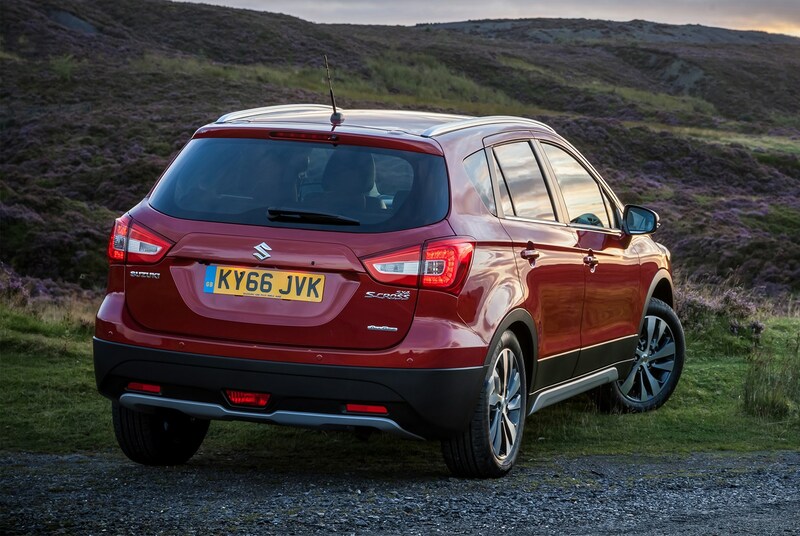 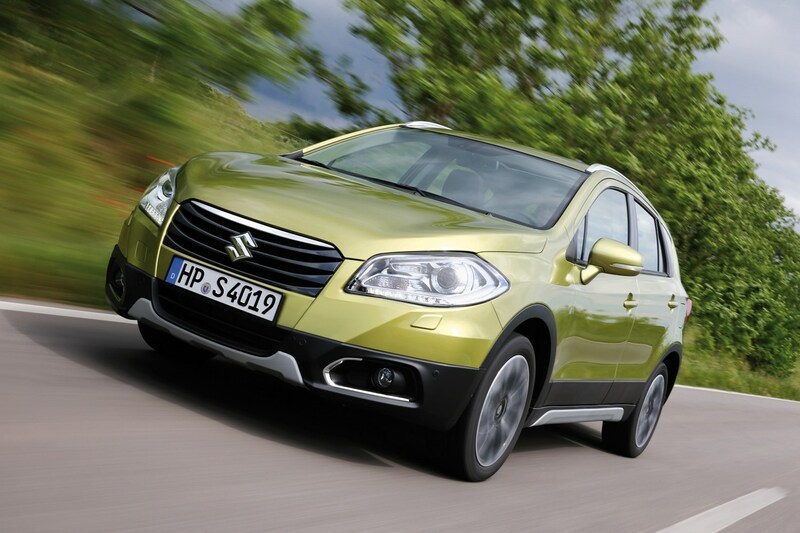 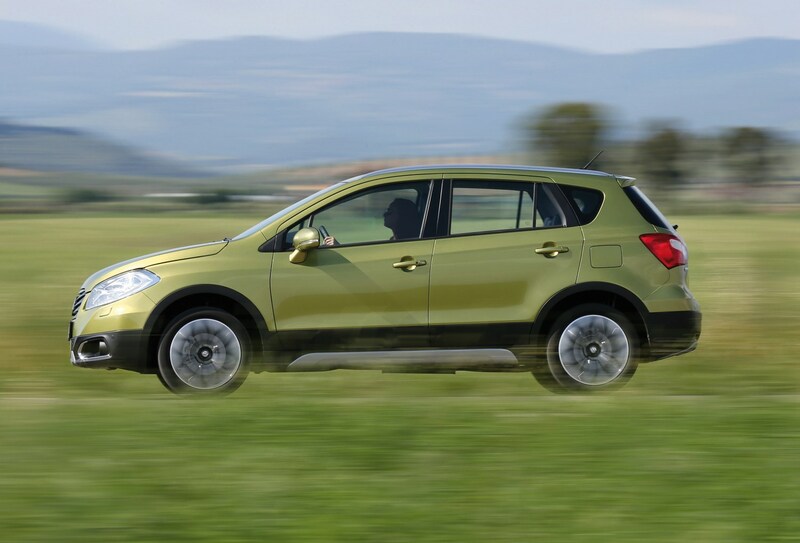 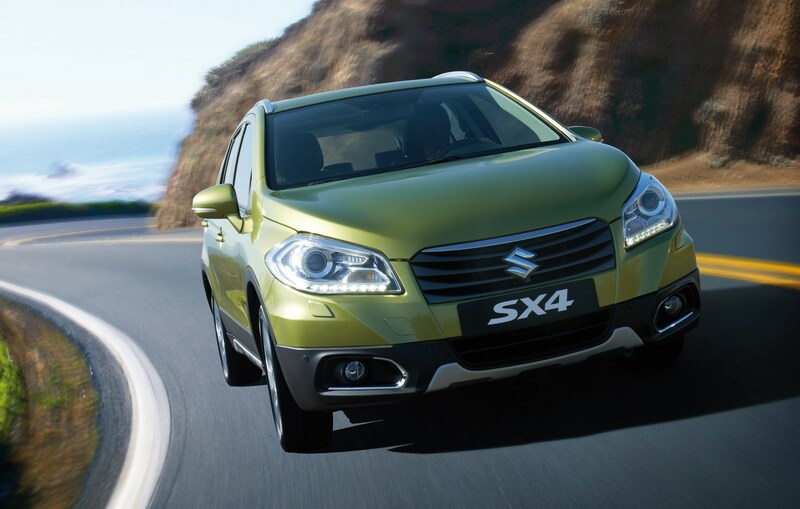 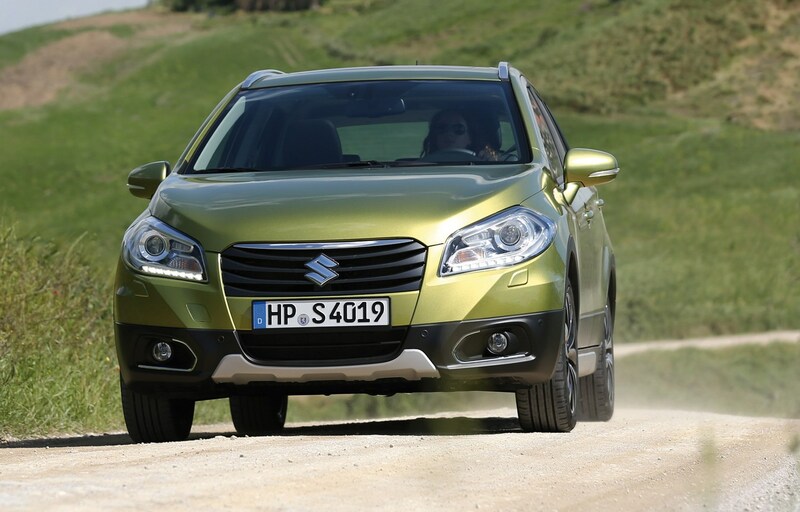 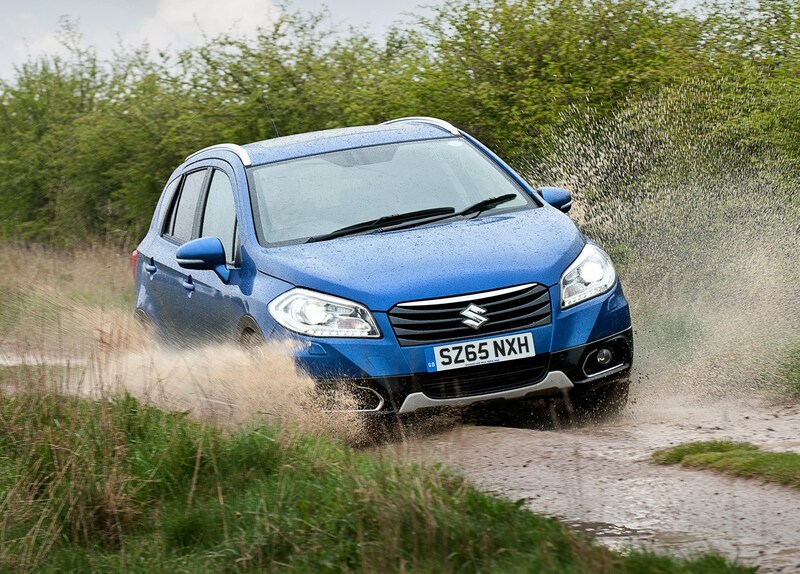 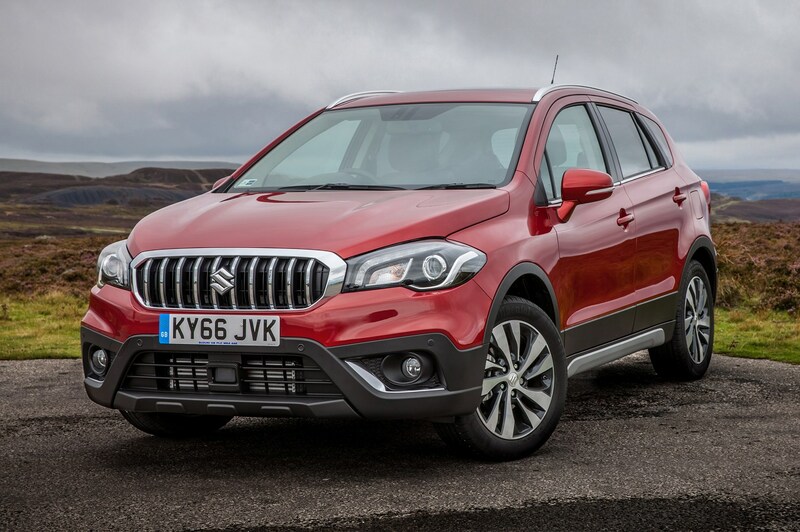 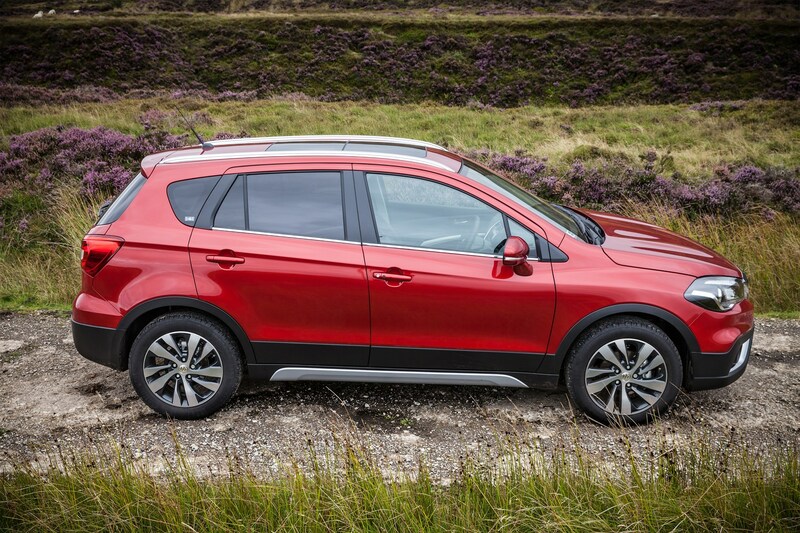 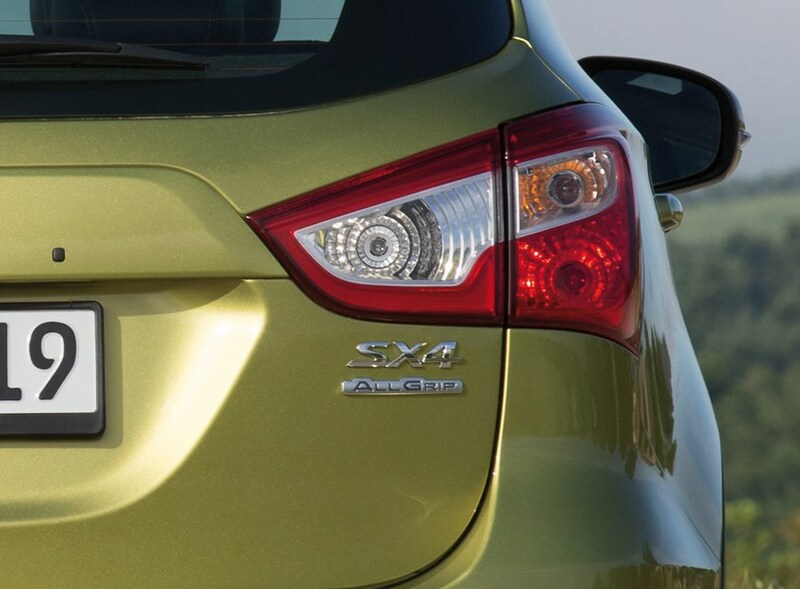 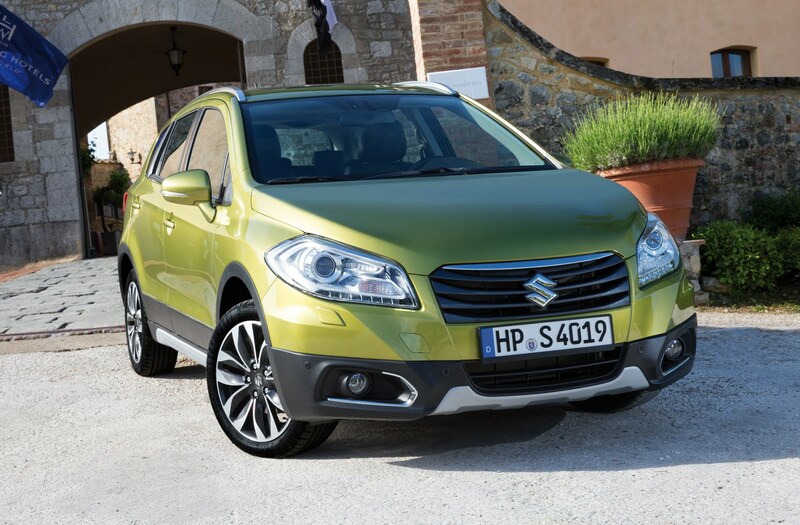 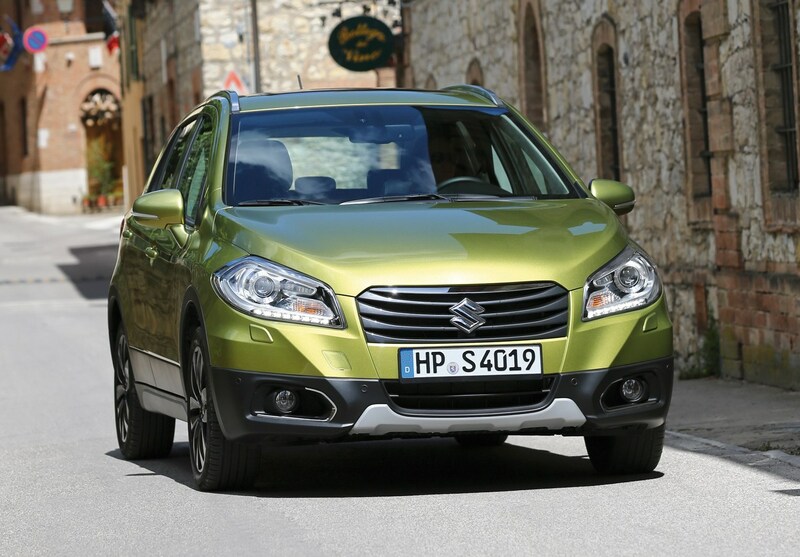 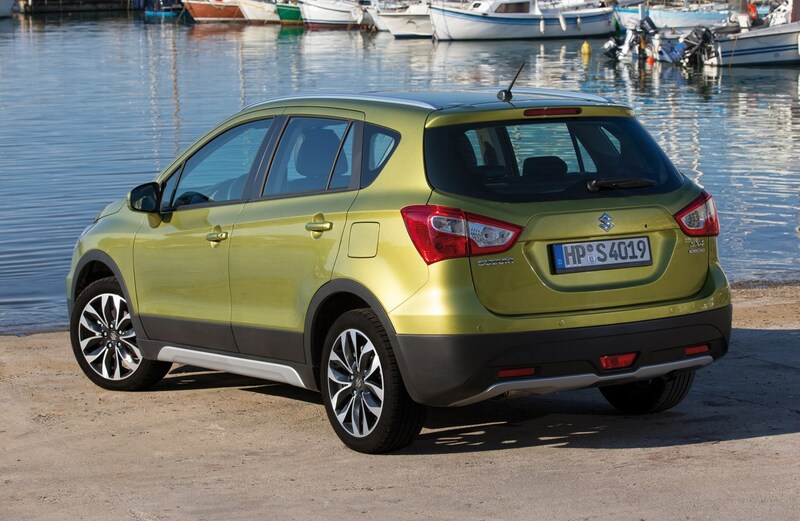 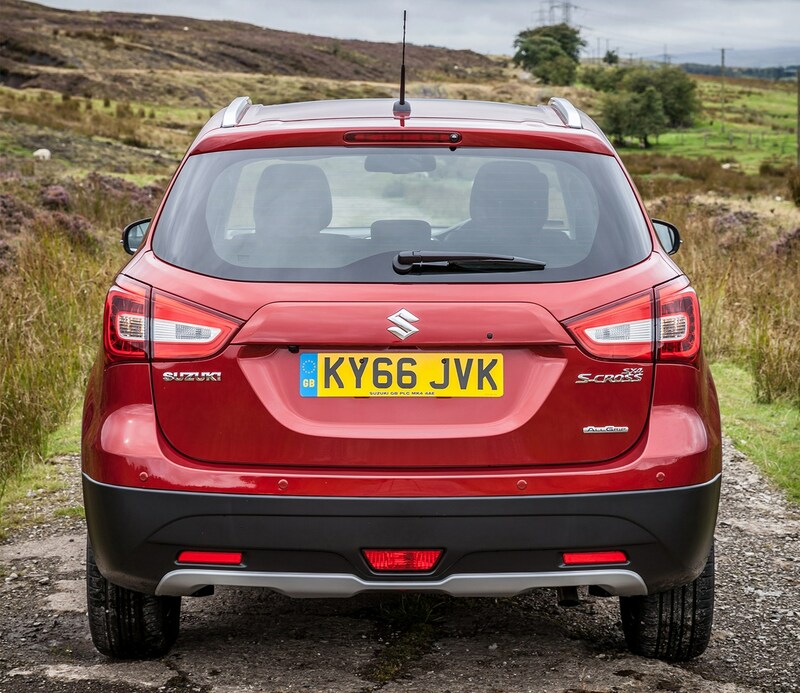 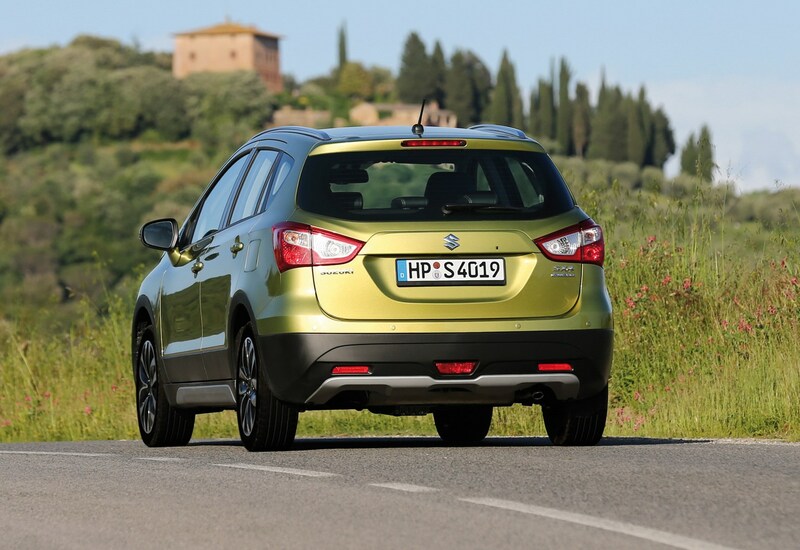 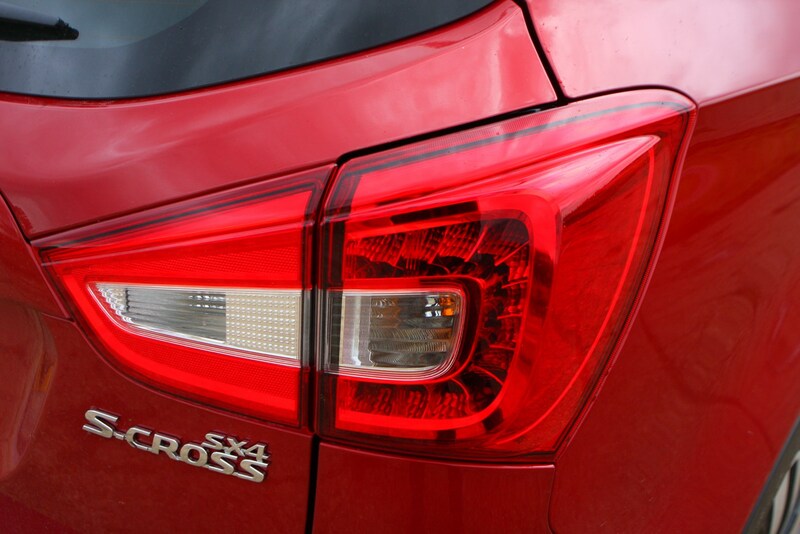 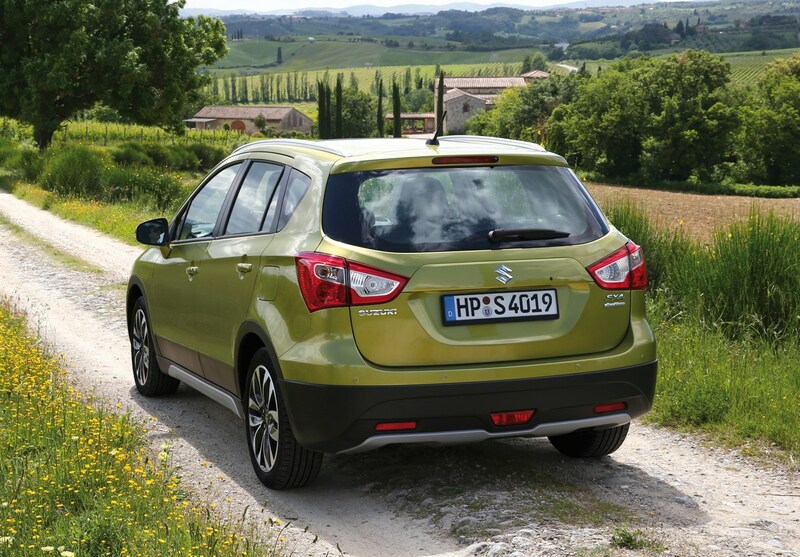 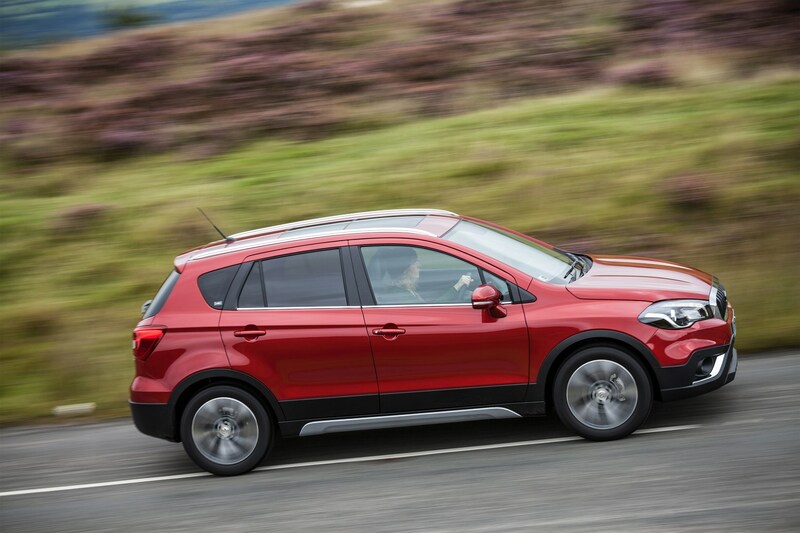 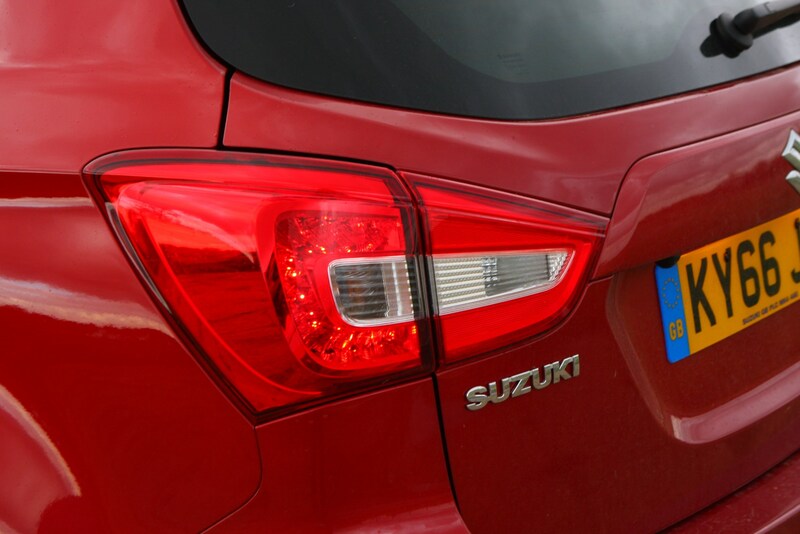 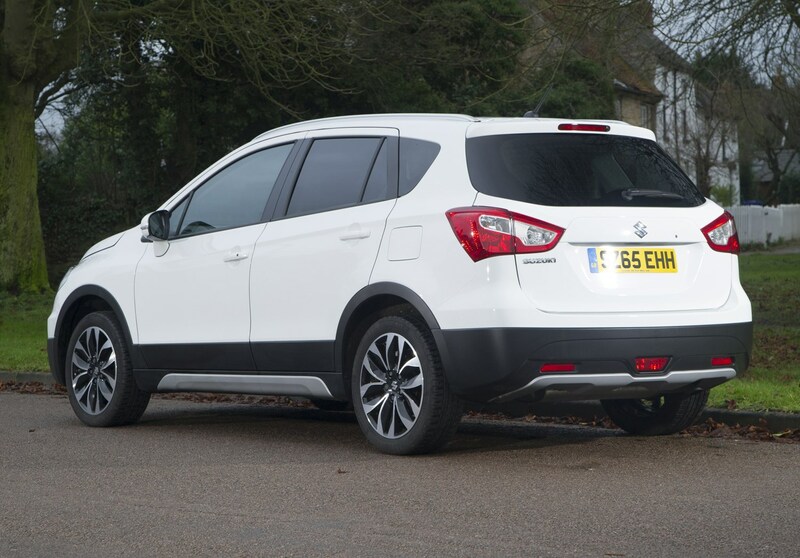 The Suzuki SX4 S-Cross is designed to take on competitors in the medium-sized crossover market. 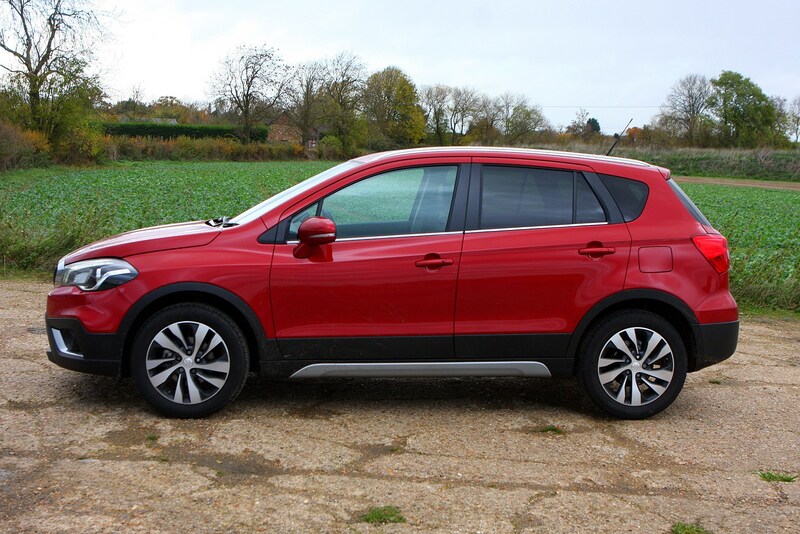 Think upon it as a slightly more compact alternative to the likes of the Nissan Qashqai, Mazda CX-5, Skoda Yeti and Kia Sportage and you’re about there. 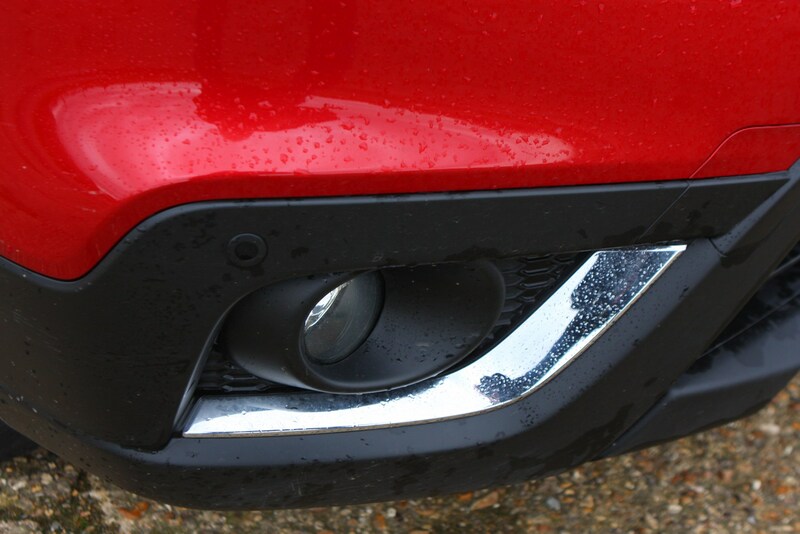 When it was launched in 2013 its looks were an acquired taste, the nose design in particularly looking droopy as though it had melted. 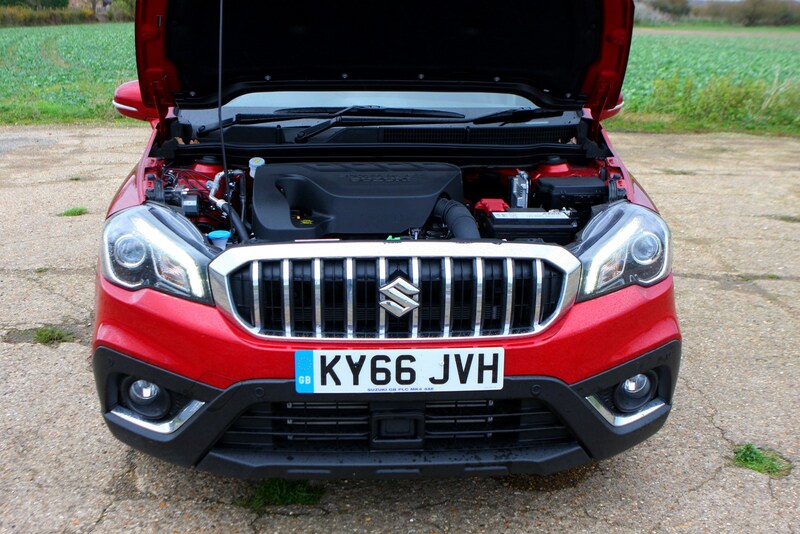 Suzuki sought to rectify this from autumn 2016 when it facelifted the car, with an all-new bonnet, front bumper, bold grille and new lamps front and rear. 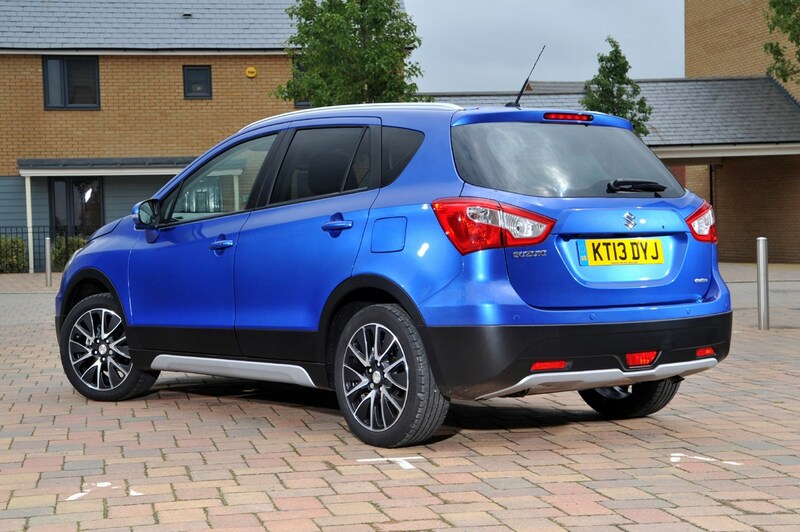 It certainly remains a distinctive choice in the class. 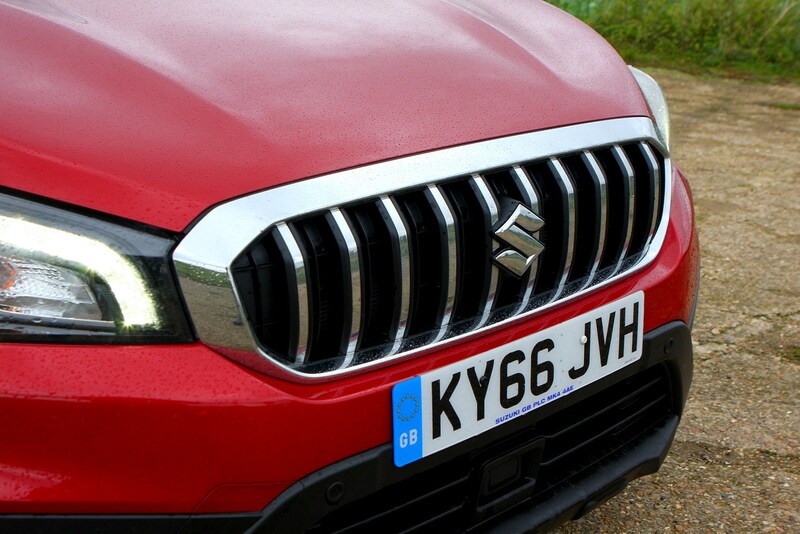 While its looks are a little questionable, its underpinnings are based on the excellent Suzuki Swift’s, which means it drives and rides well. 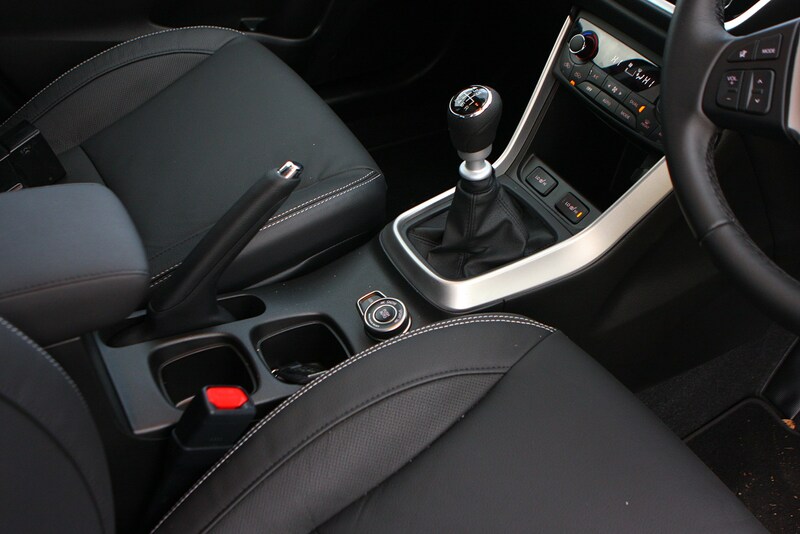 The interior, while a little dated, seems hard-wearing and there’s a feeling of honesty about the car. 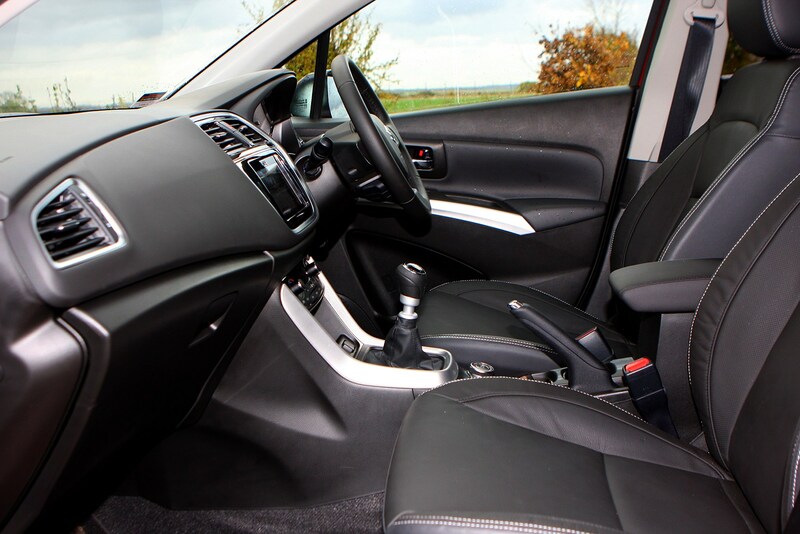 Some of the cabin’s plastics feel cheaper than its rivals but then it is significantly less expensive to buy so you can forgive that. 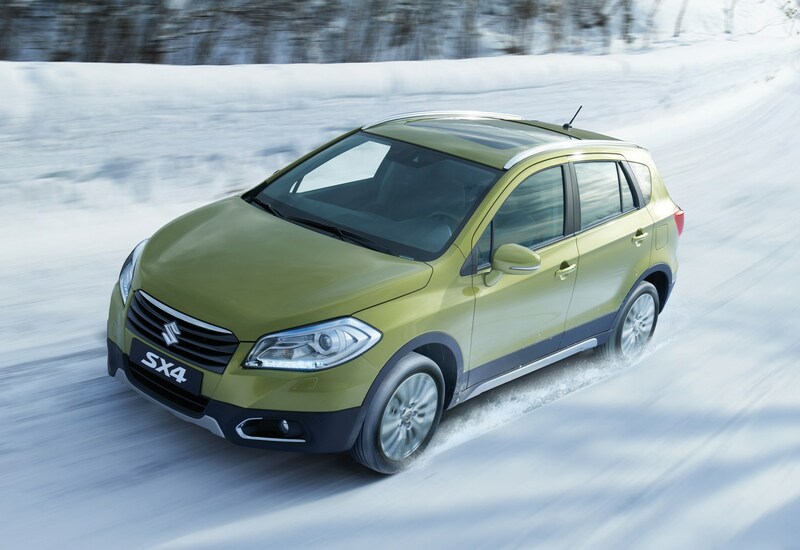 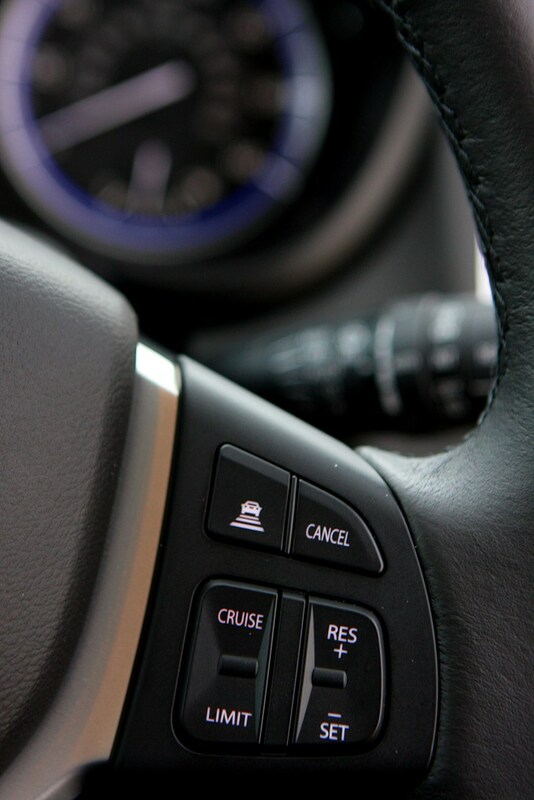 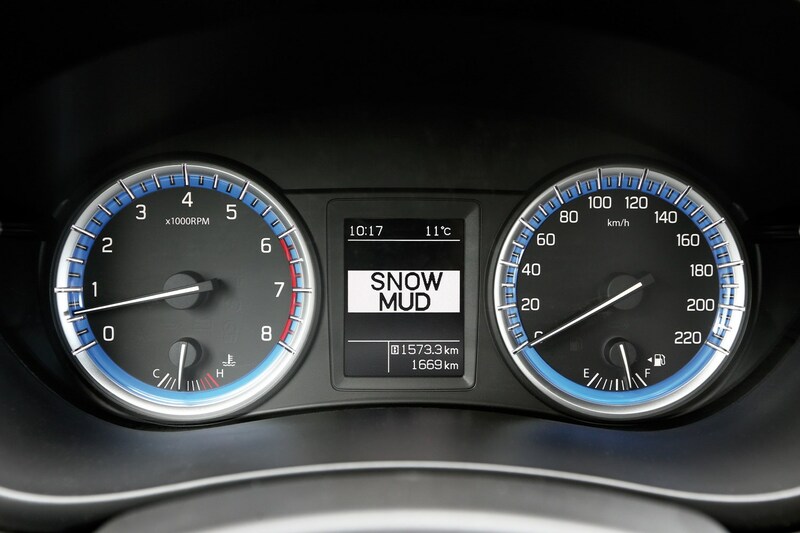 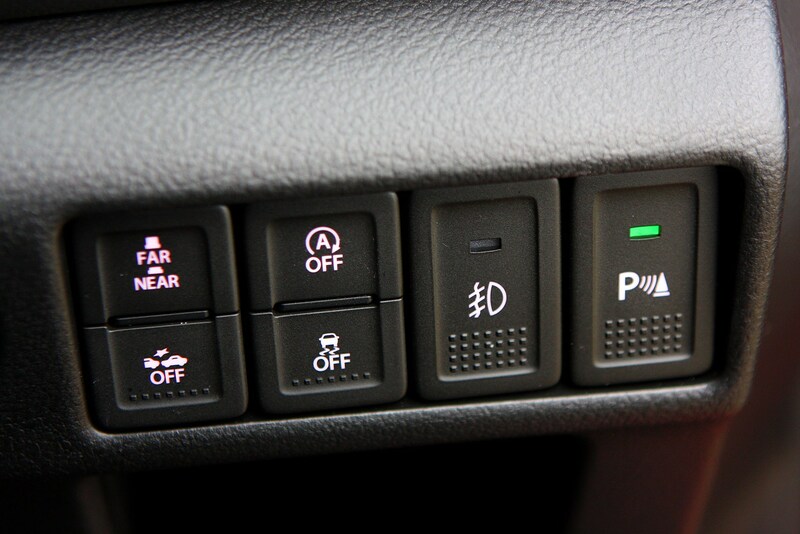 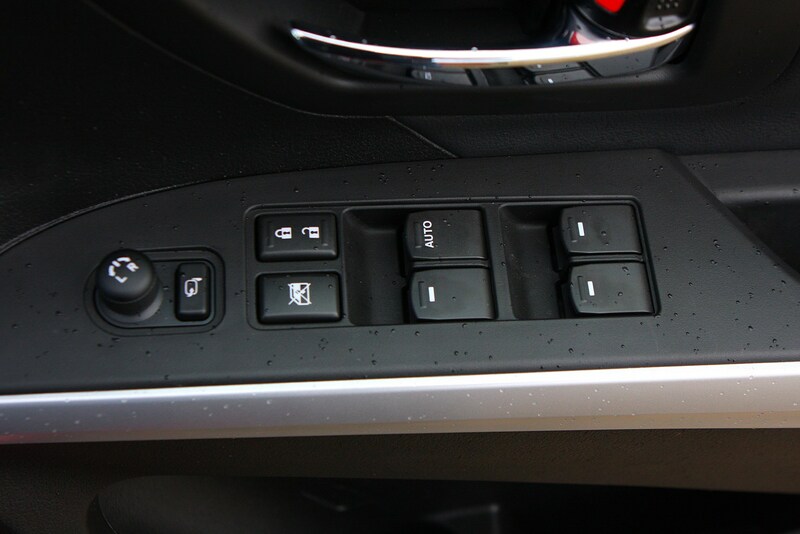 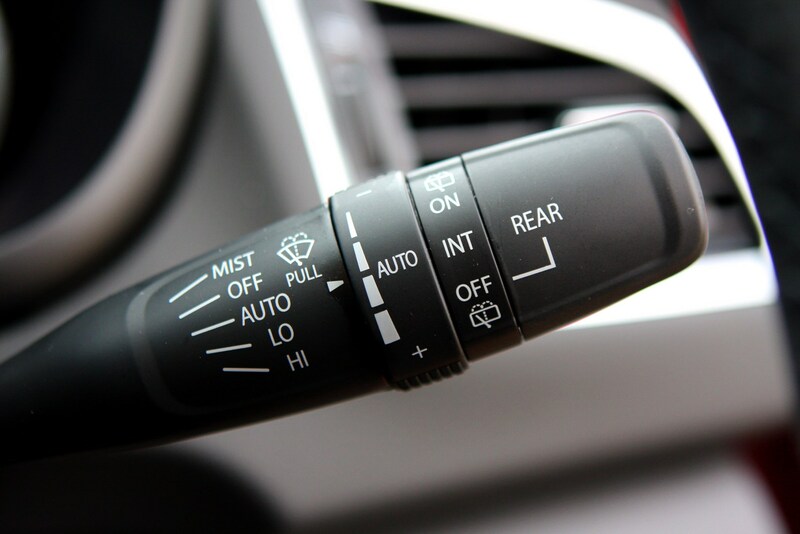 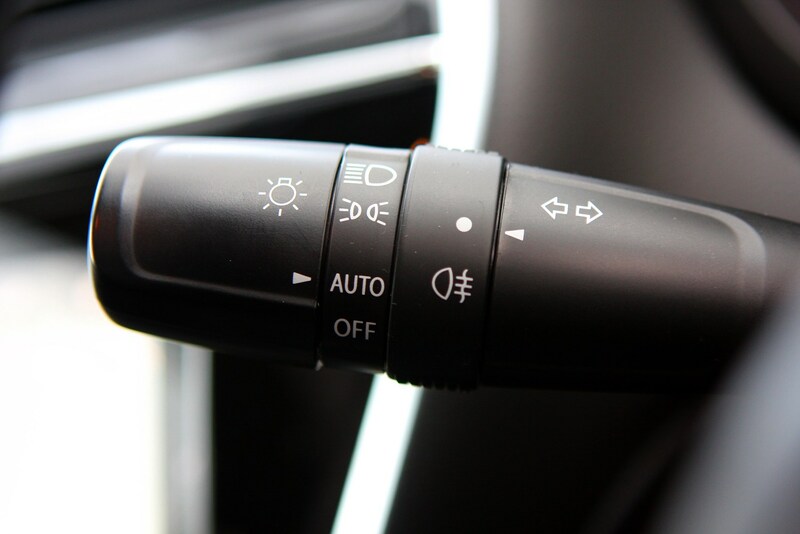 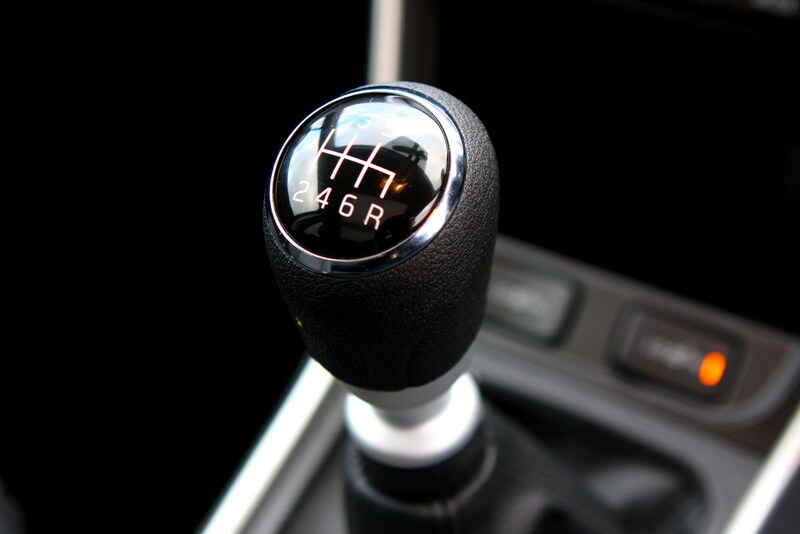 The SX4 can be ordered with an AllGrip all-wheel drive system which has four selectable driving modes promising better performance and safety when conditions take a turn for the worse. 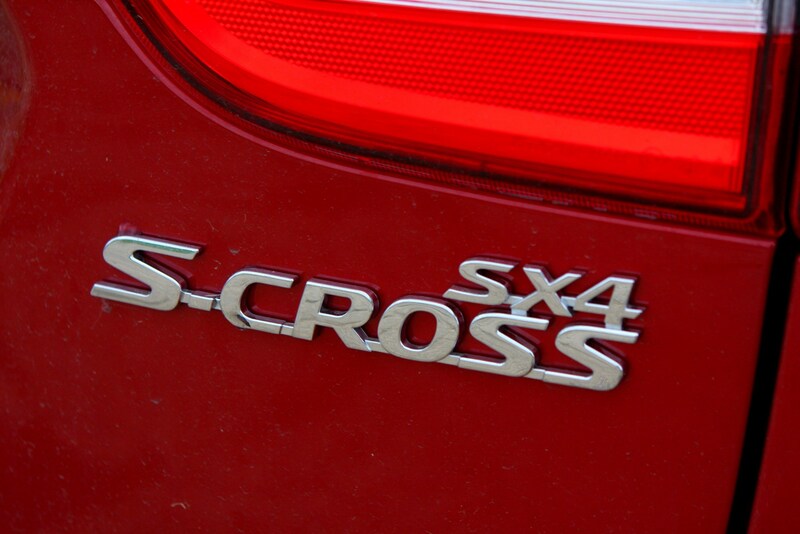 While the ride height was raised by 15mm to 180mm as part of the 2016 facelift, don’t think of the S-Cross as a tough-as-old-boots off-roader. 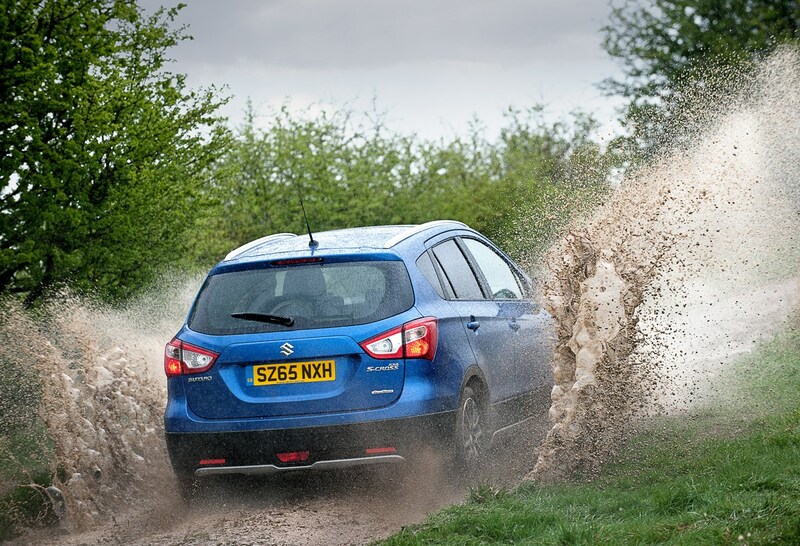 Two-wheel drive is also available for those looking for lower running costs. 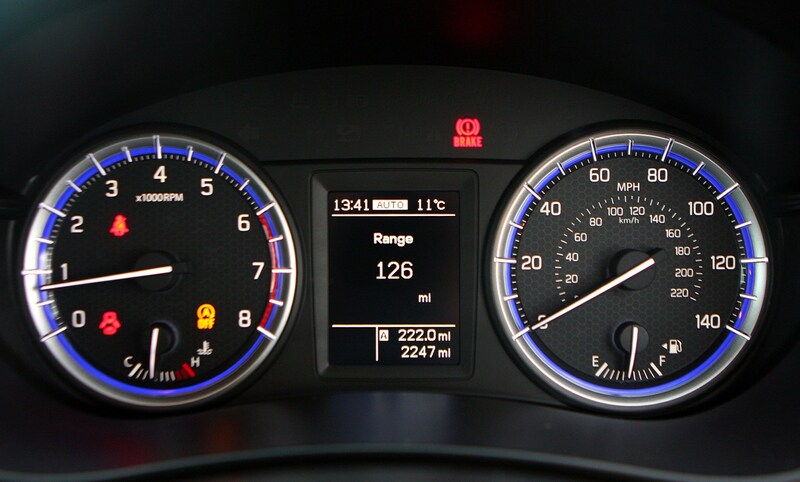 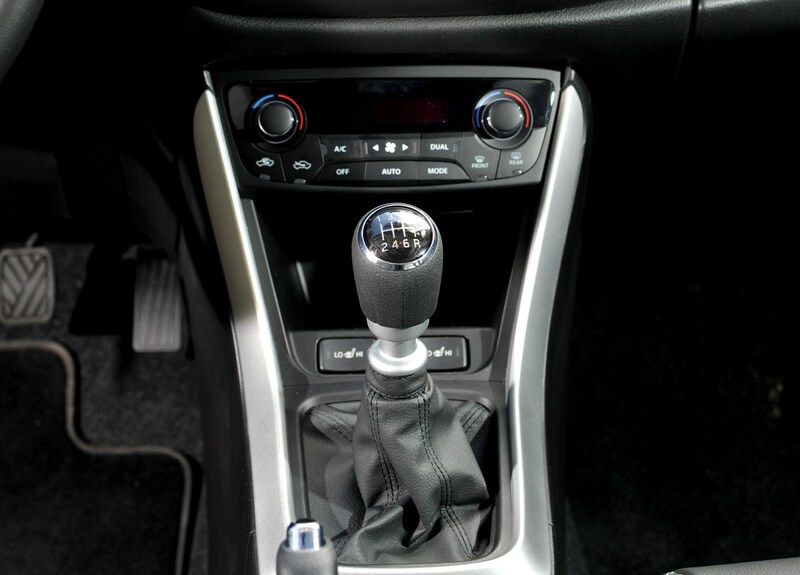 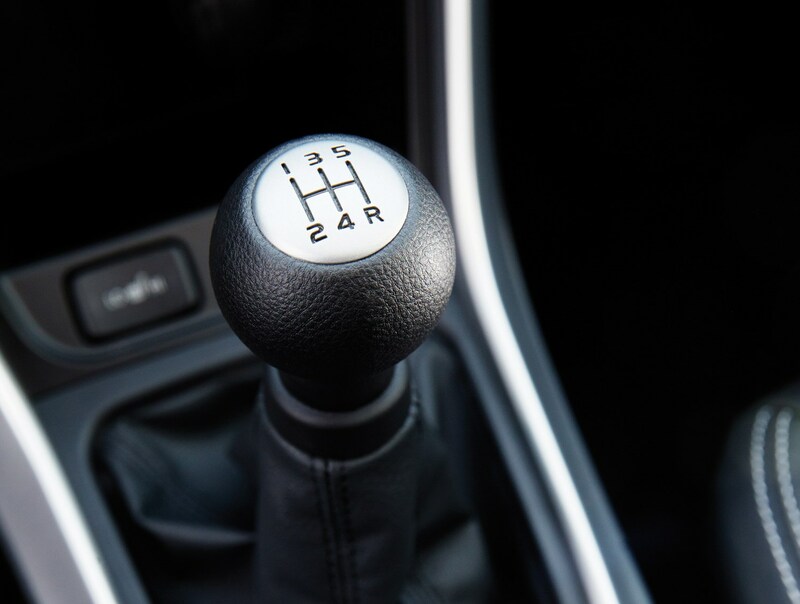 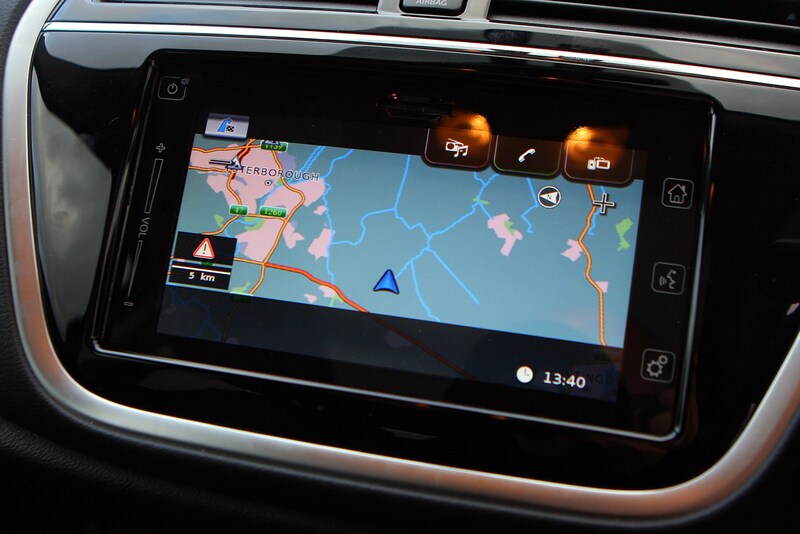 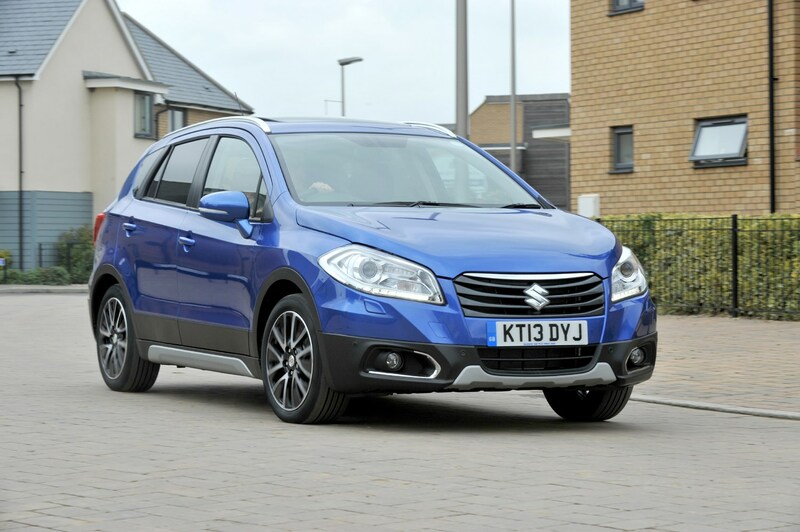 When launched in 2013 the SX4 S-Cross came with a choice of 1.6-litre engines in both petrol and DDiS diesel configurations, the former coming with a six-speed manual or CVT automatic. 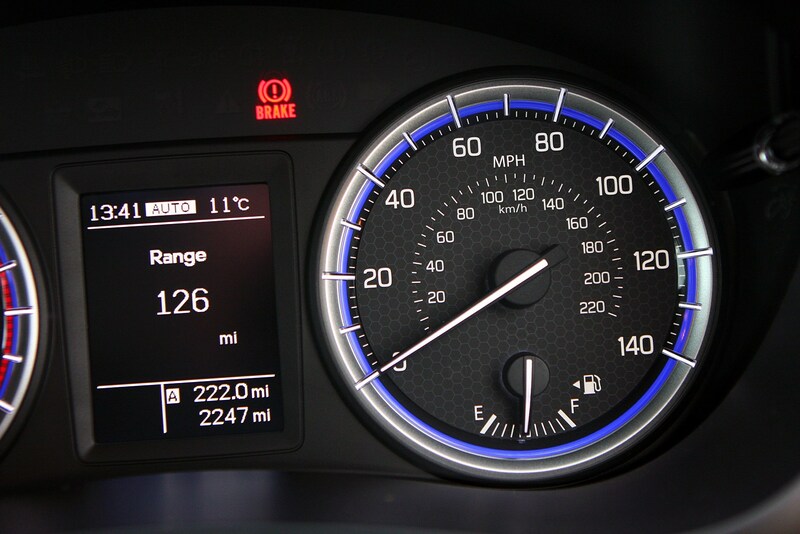 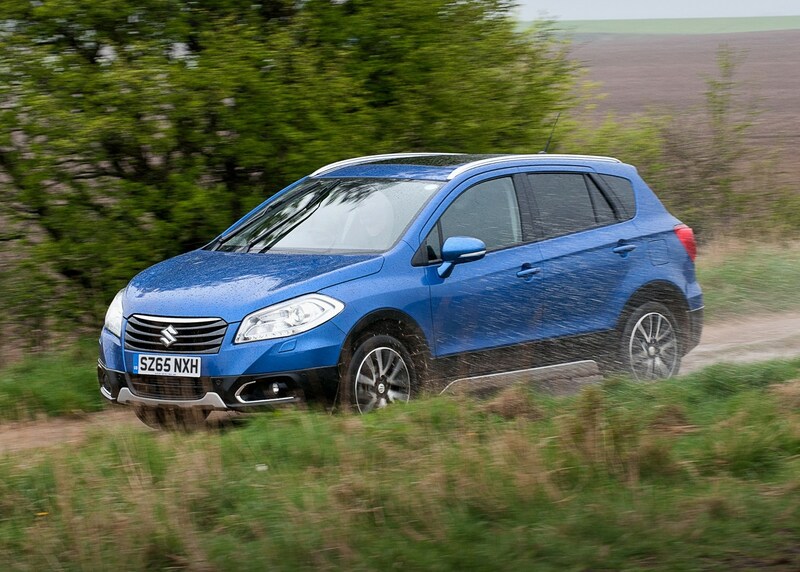 Only the diesel survived the 2016 revisions, the petrol’s place being usurped by two downsized Boosterjet turbo units. 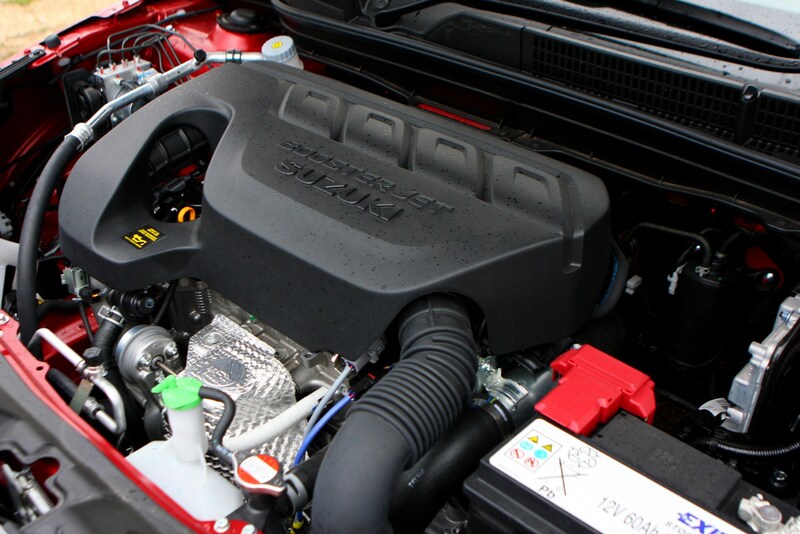 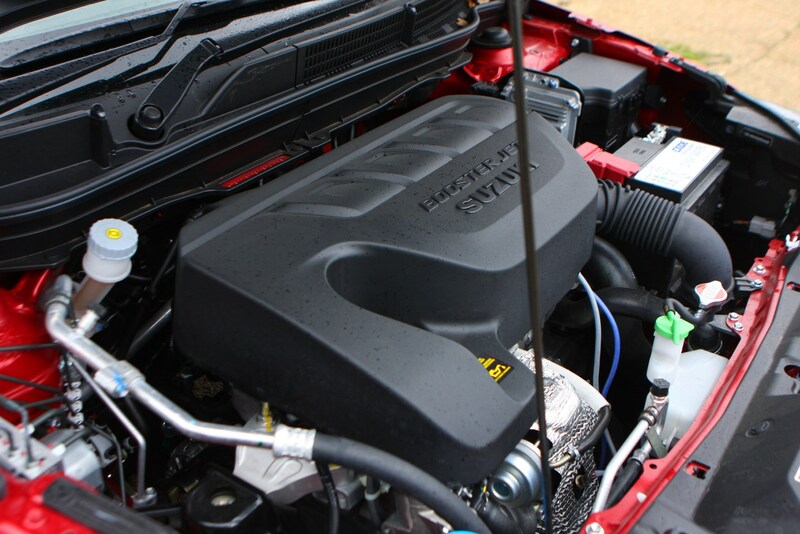 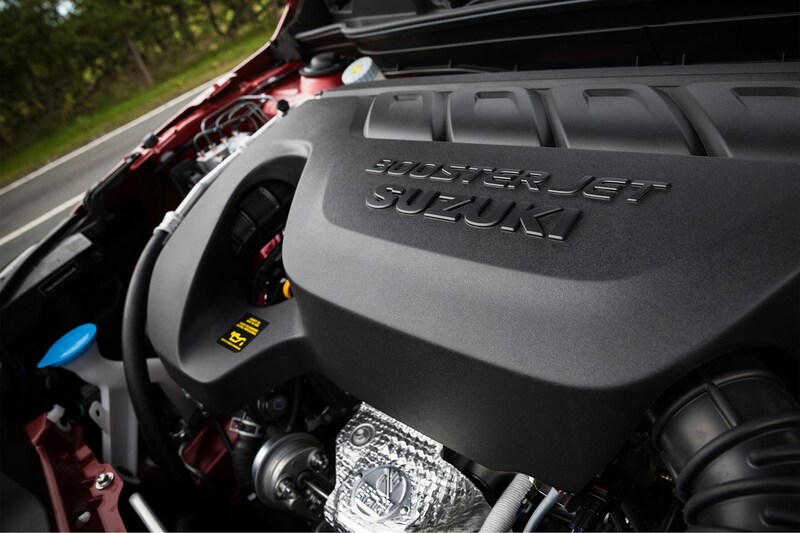 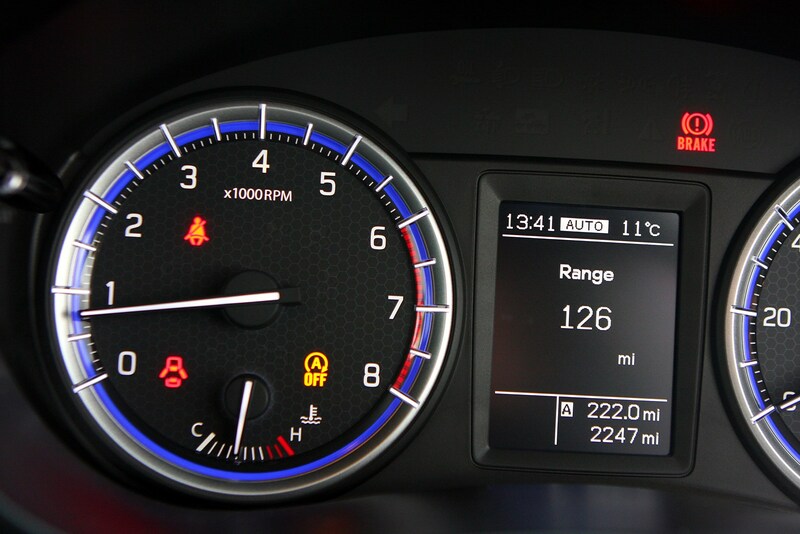 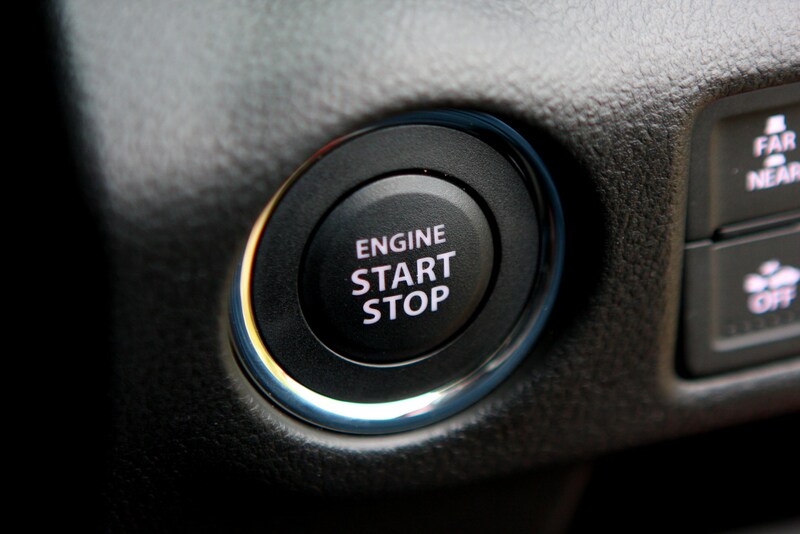 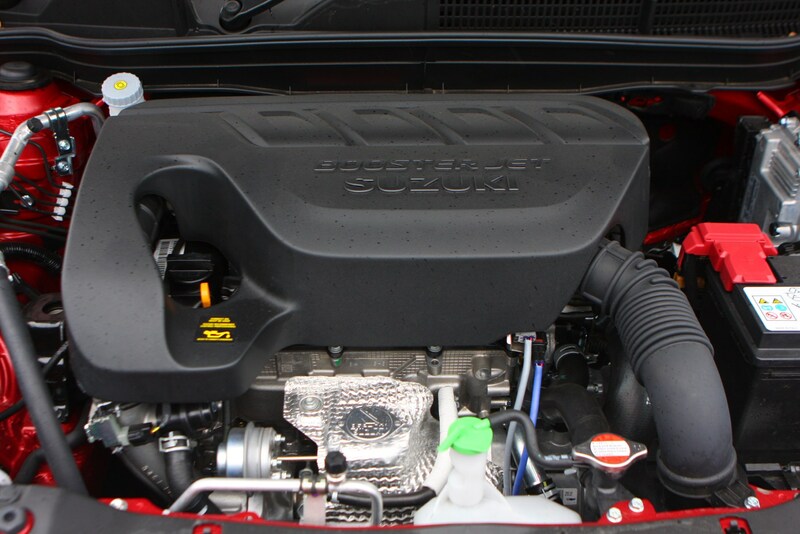 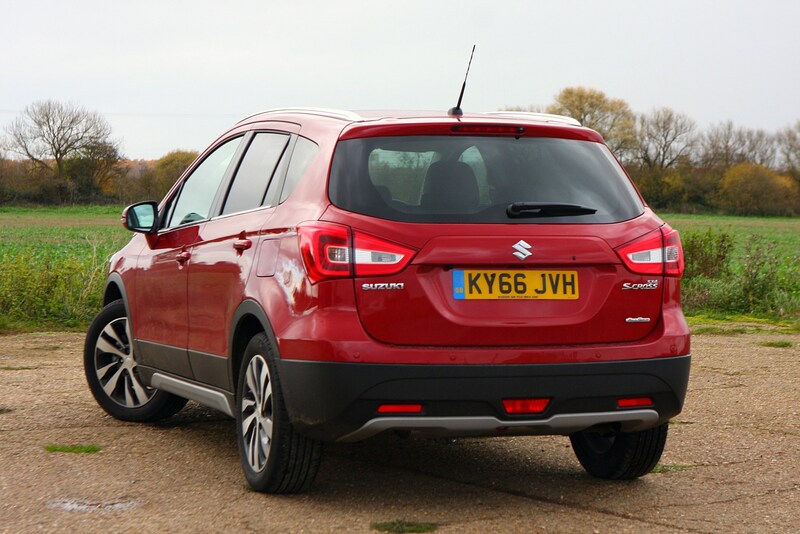 Shared with the Suzuki Baleno is the 1.0-litre Boosterjet, while the 1.4-litre version’s powerplant is also found in the sportier Vitara S. The smaller motor’s mated to a five-speed manual transmission, the larger with a six-speeder, while both are optionally available with a six-speed automatic, offering much greater control and less engine noise than the previous CVT. 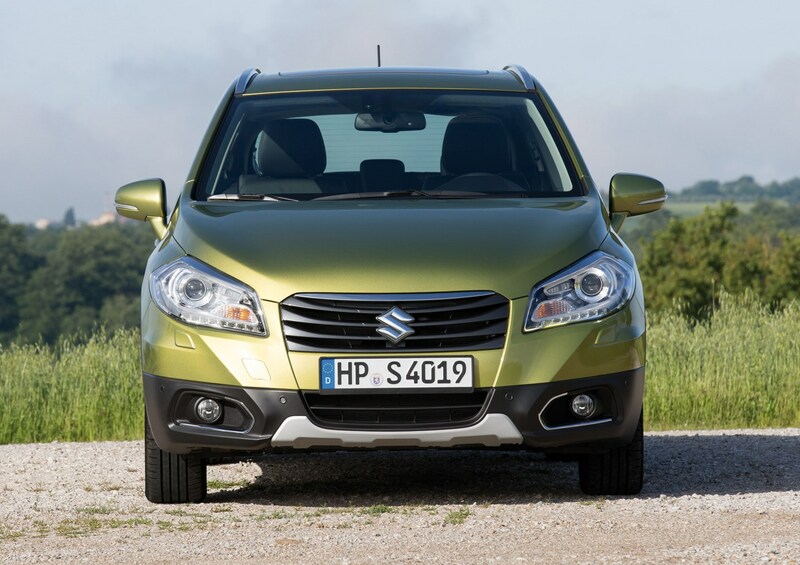 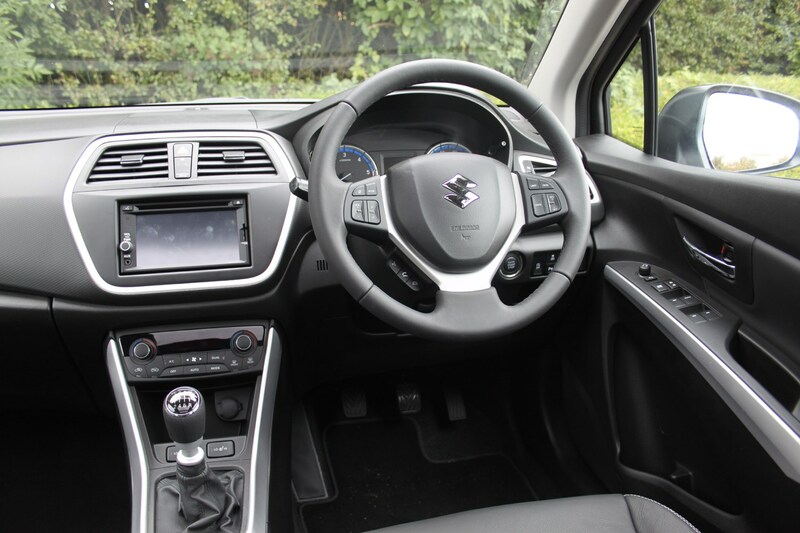 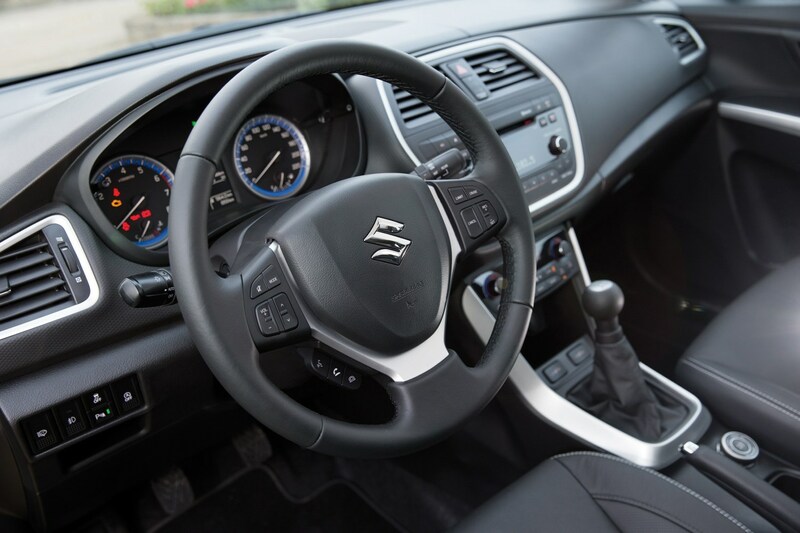 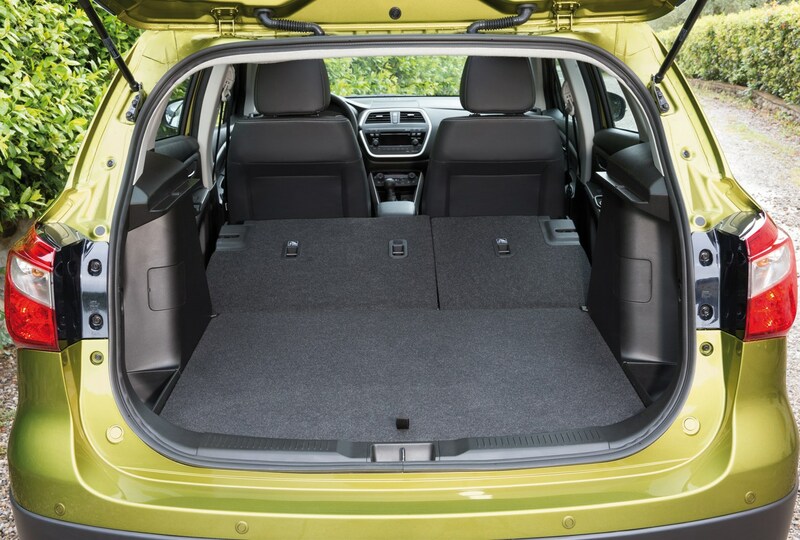 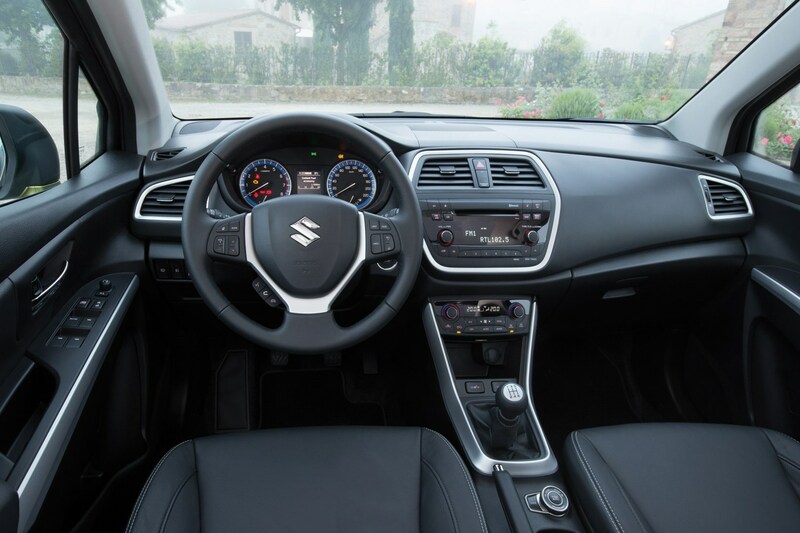 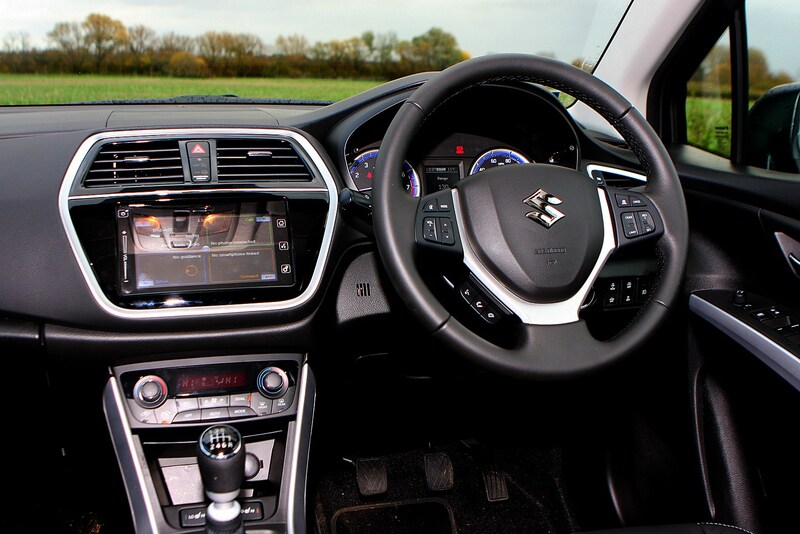 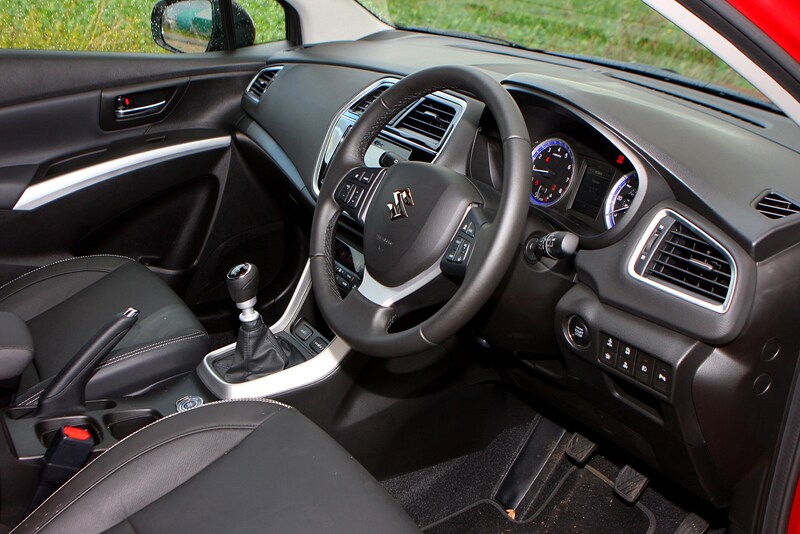 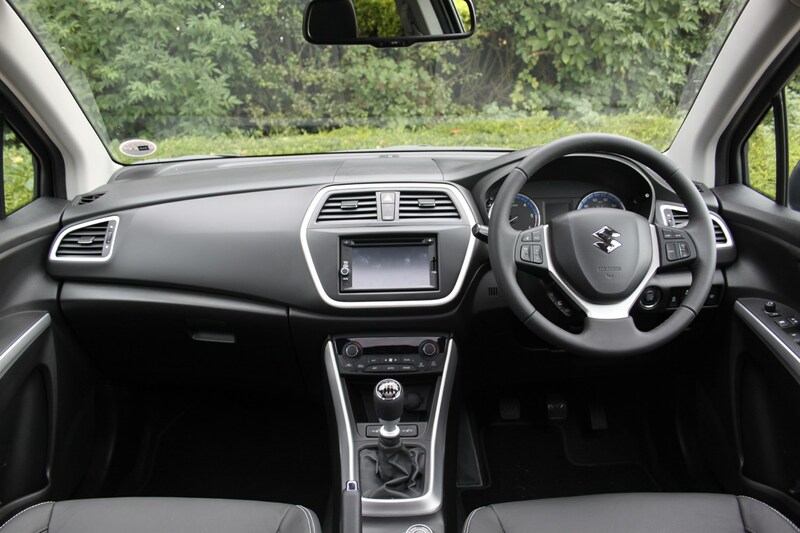 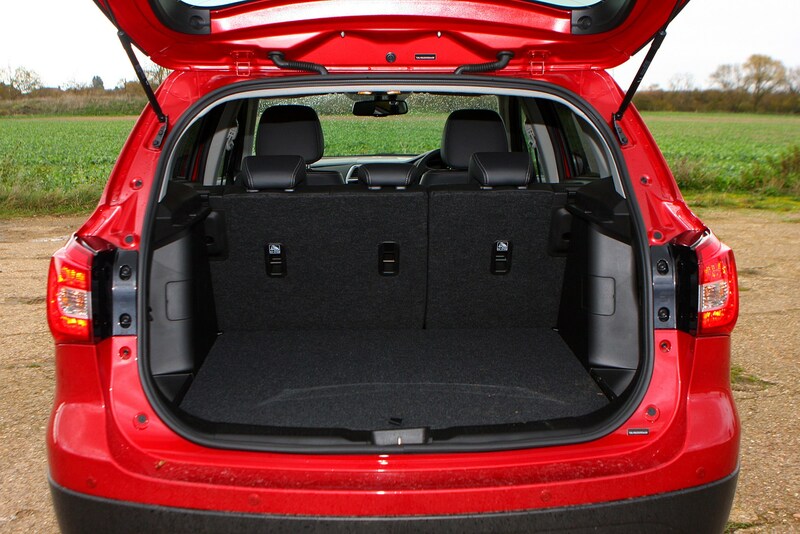 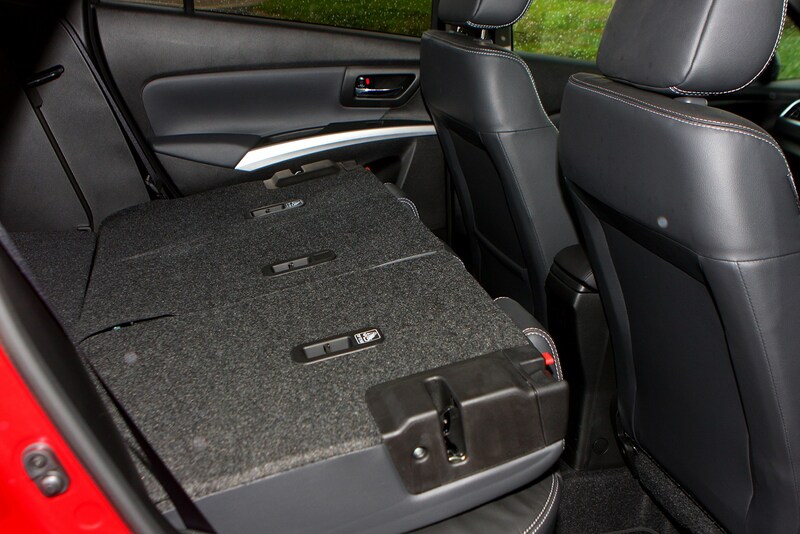 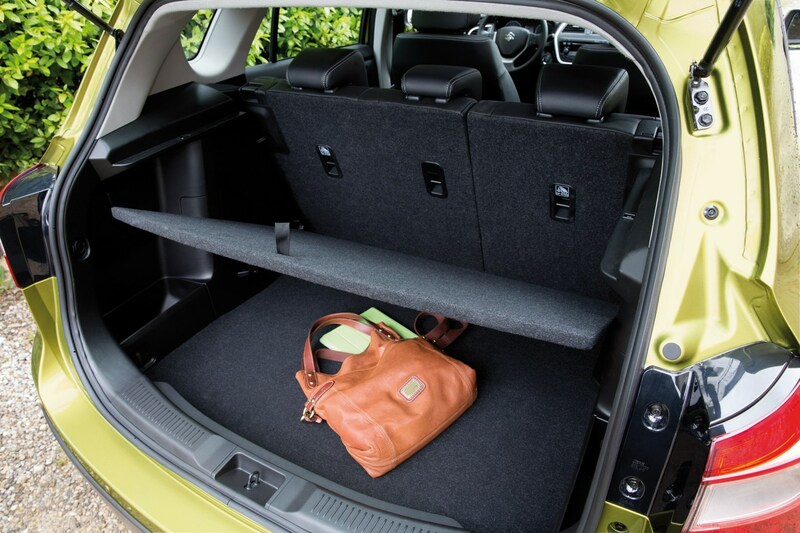 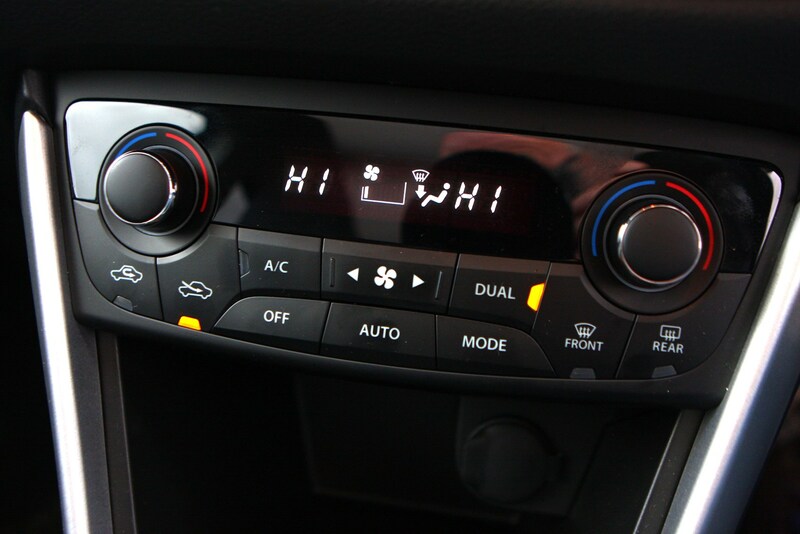 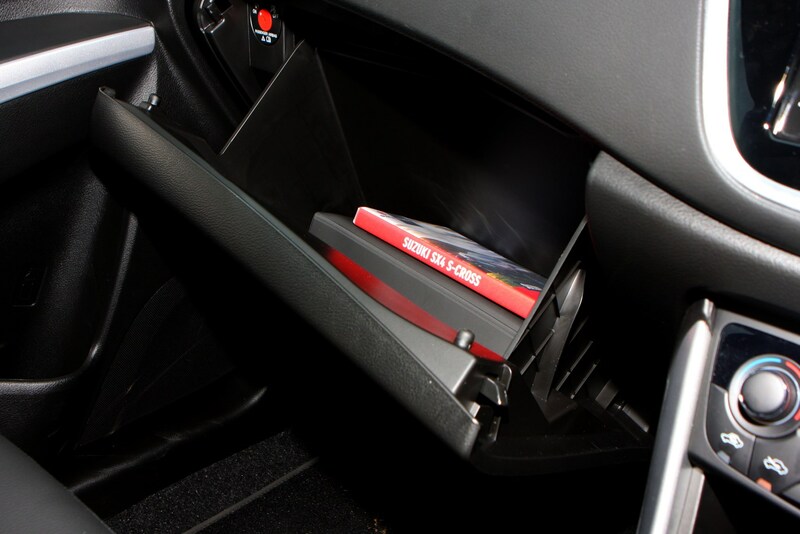 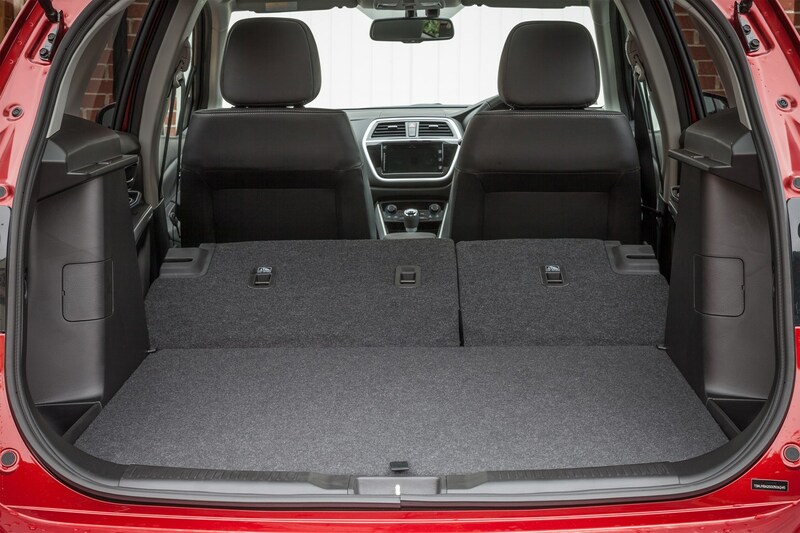 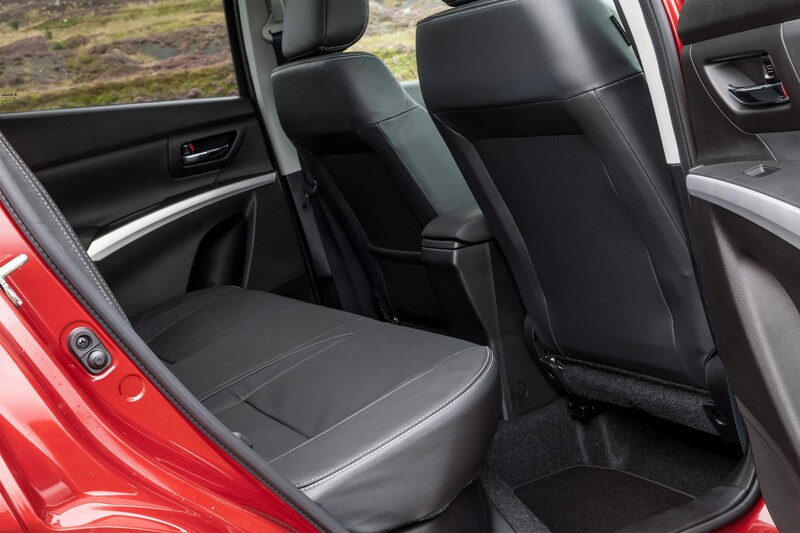 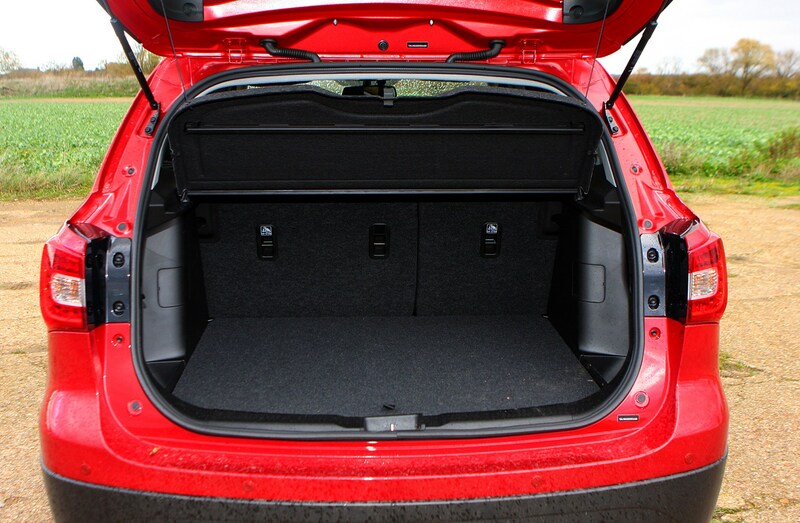 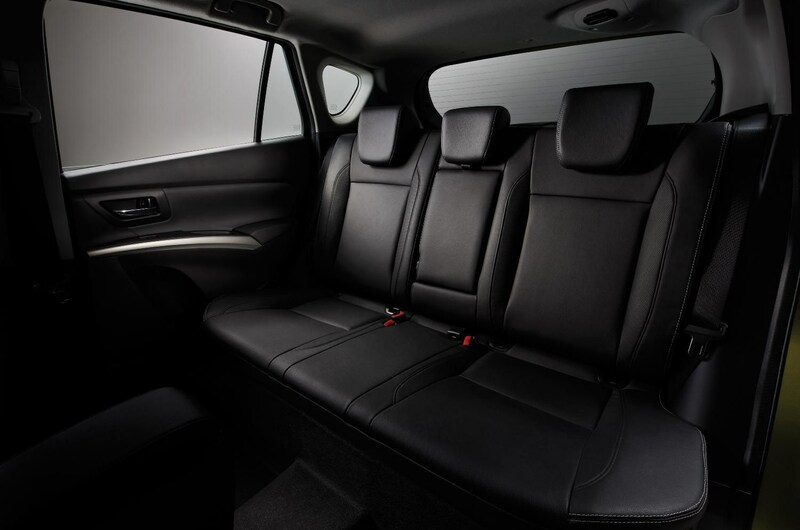 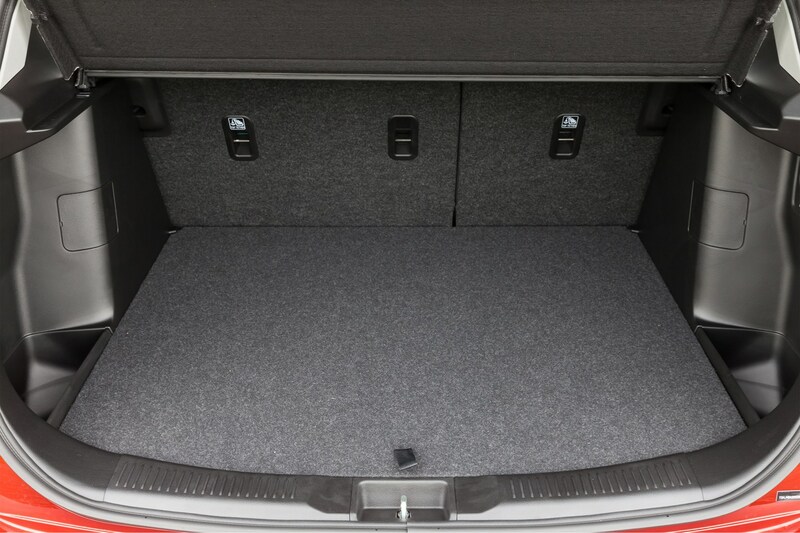 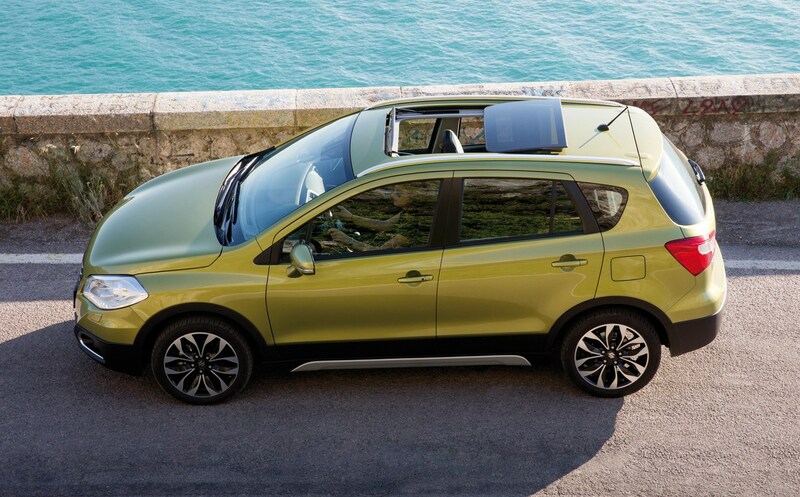 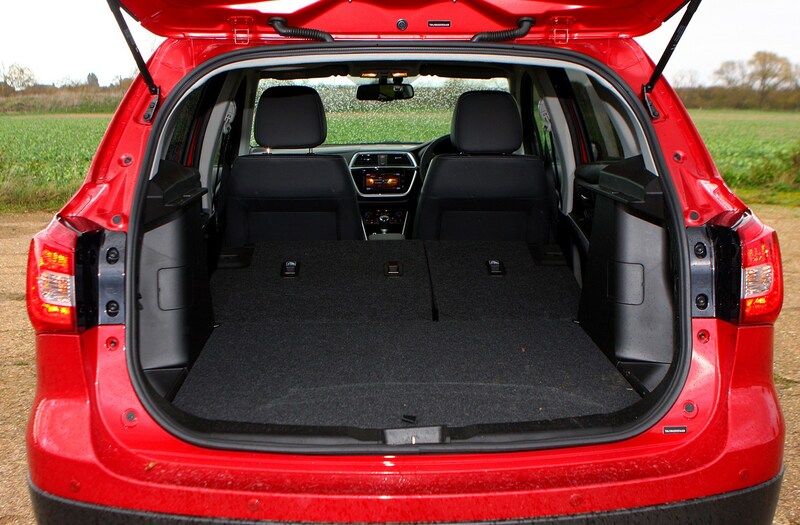 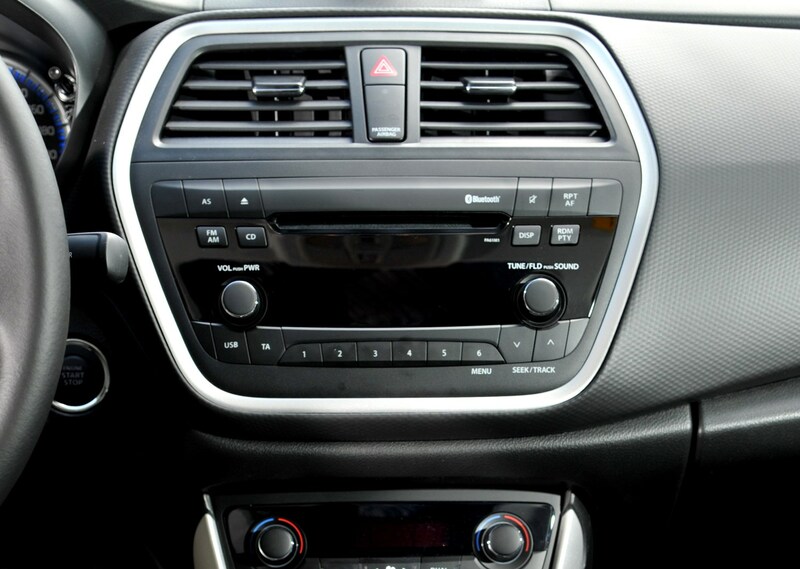 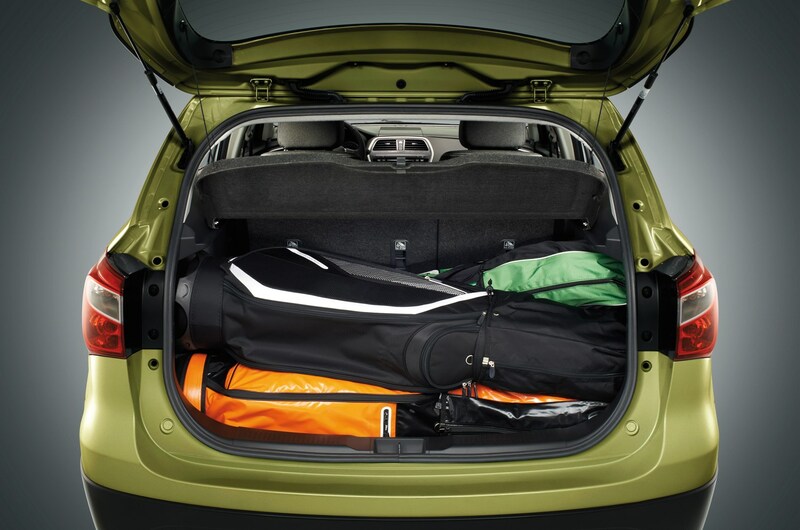 According to Suzuki, the new SX4 is a class-leader in interior and luggage space. 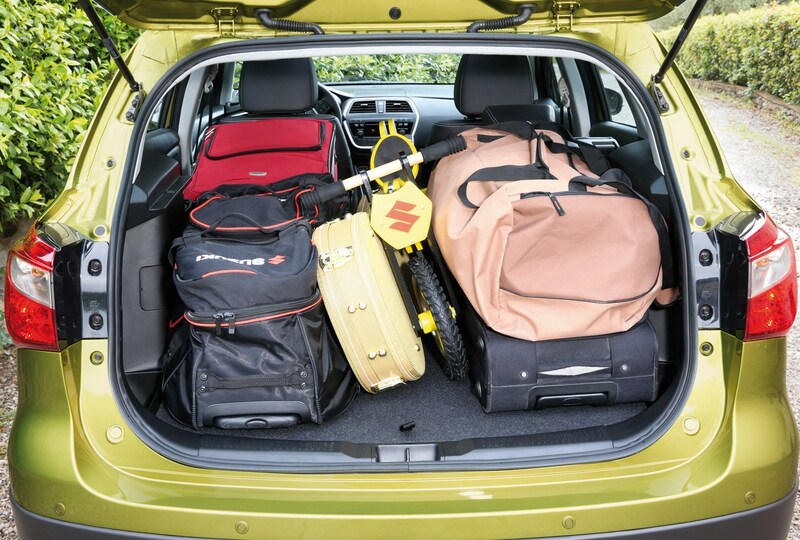 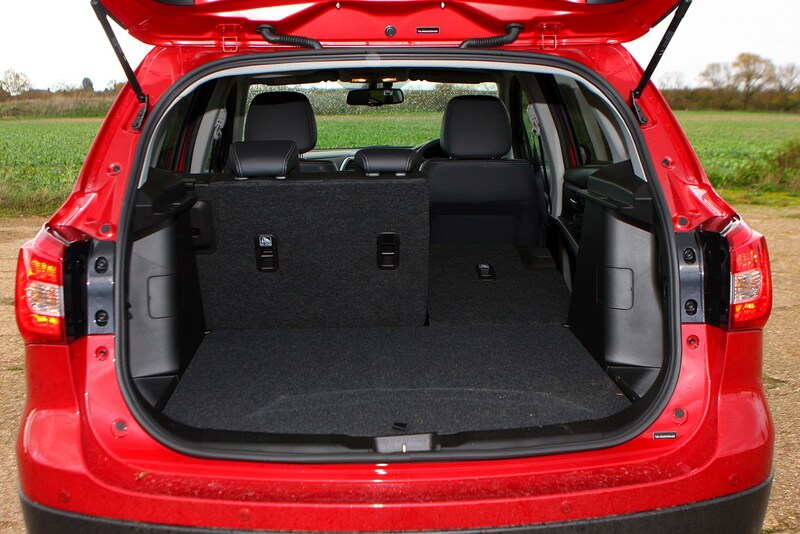 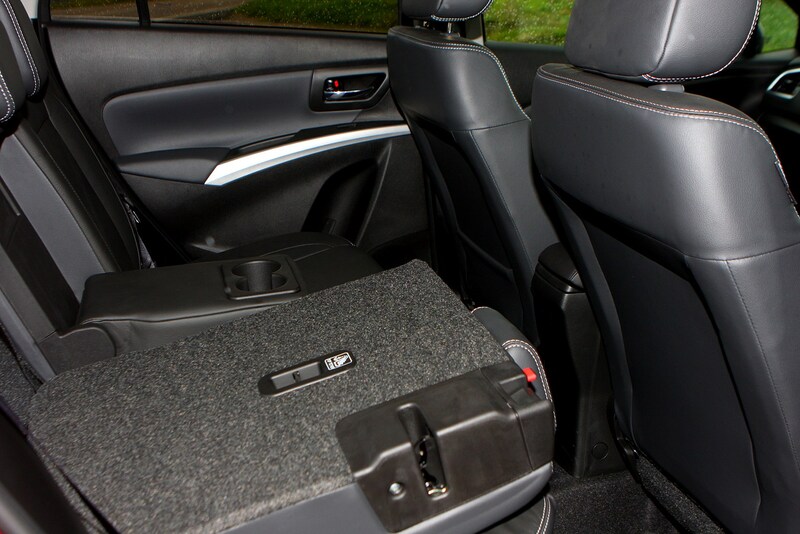 The boot has 430 litres of capacity, which means it trumps the likes of hatchbacks S-Cross buyers are deserting such as the Vauxhall Astra and the Ford Focus. From the 2016 overhaul this could be increased to 440 litres by positioning the rear seat backrest in a slightly more upright position. 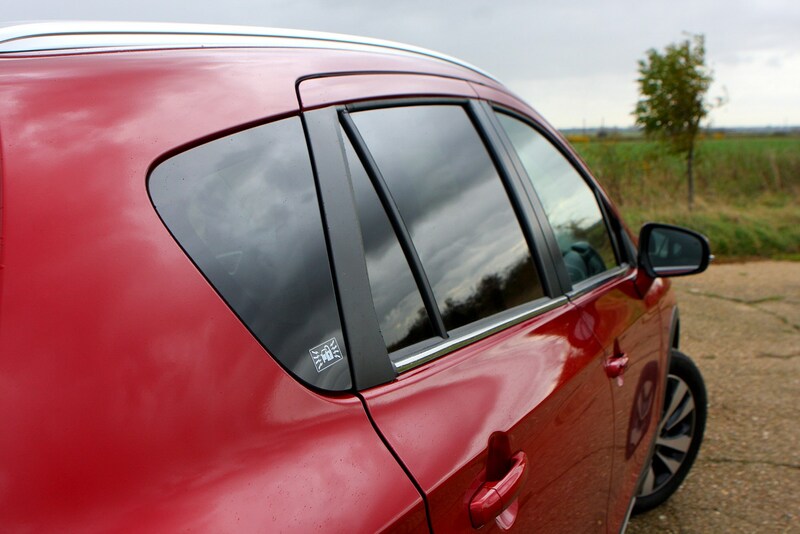 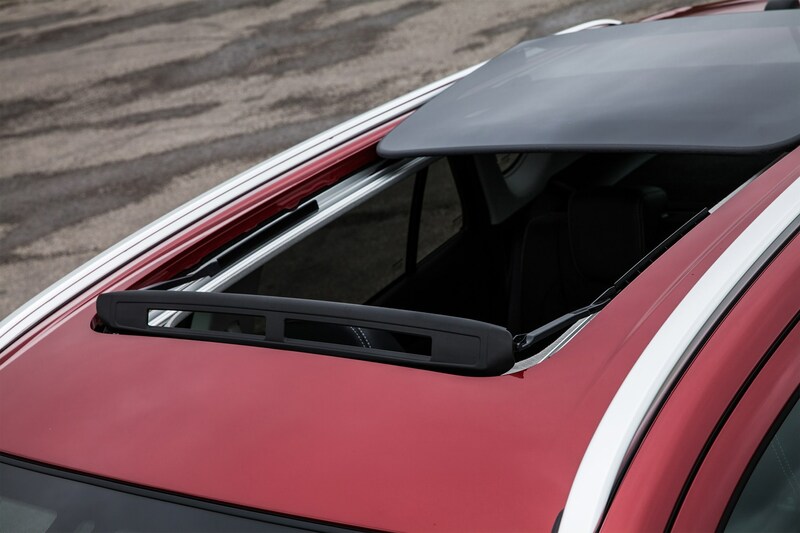 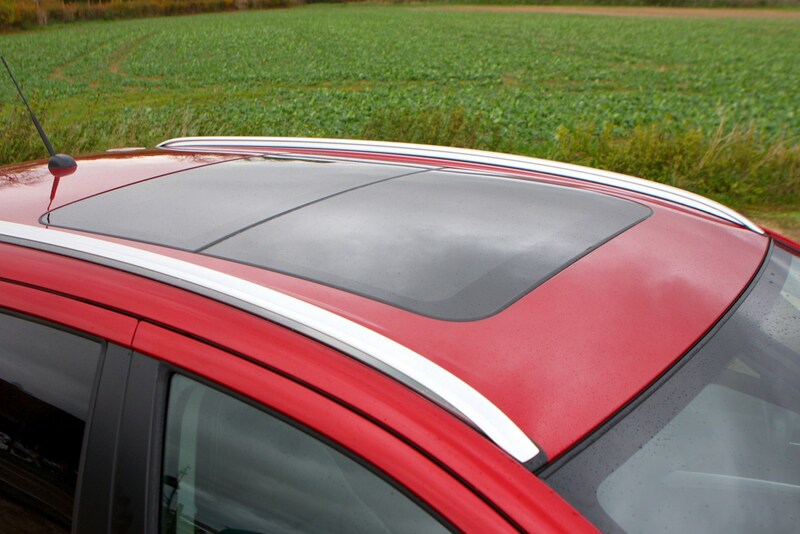 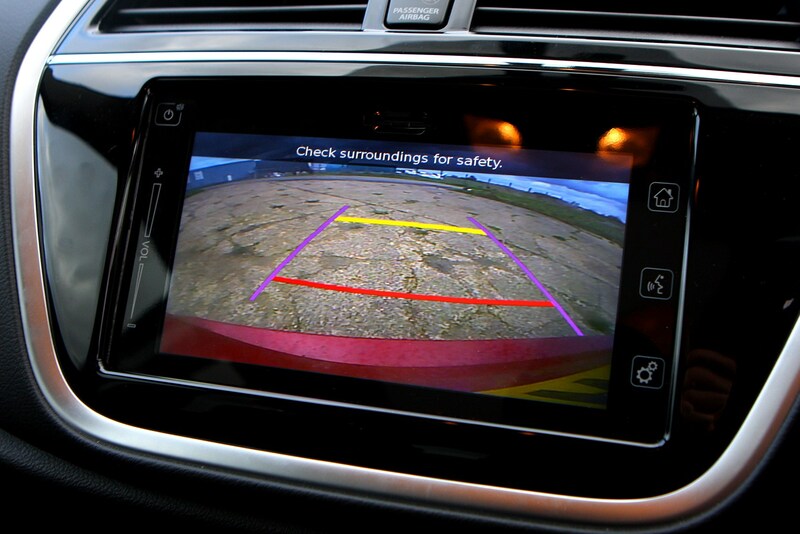 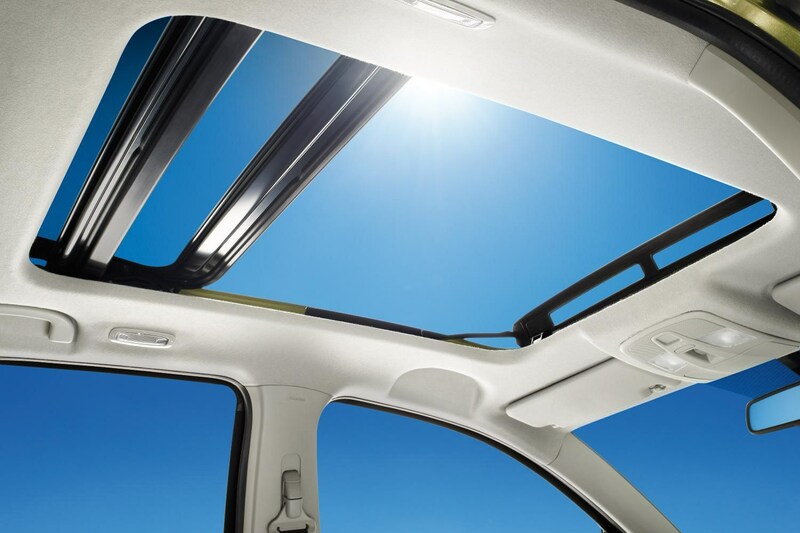 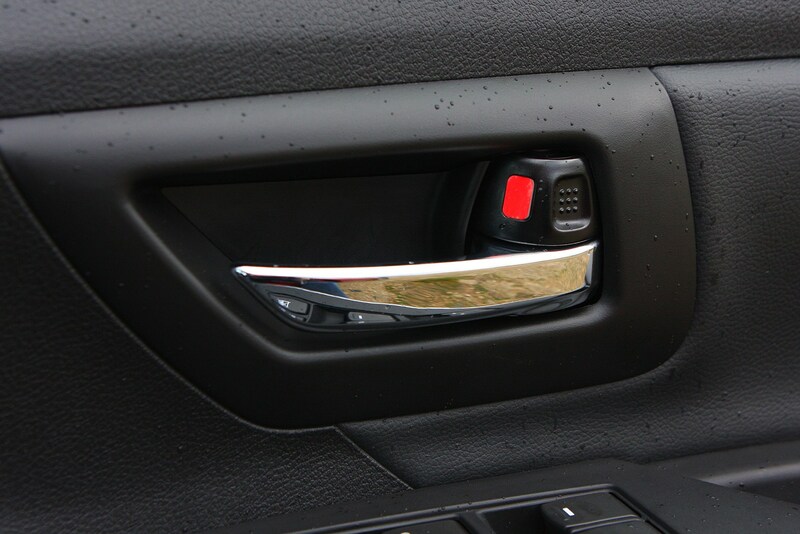 On higher-spec cars you’ll also be able to make use of a double-sliding glass panoramic roof, with both front and rear portions that can be opened. 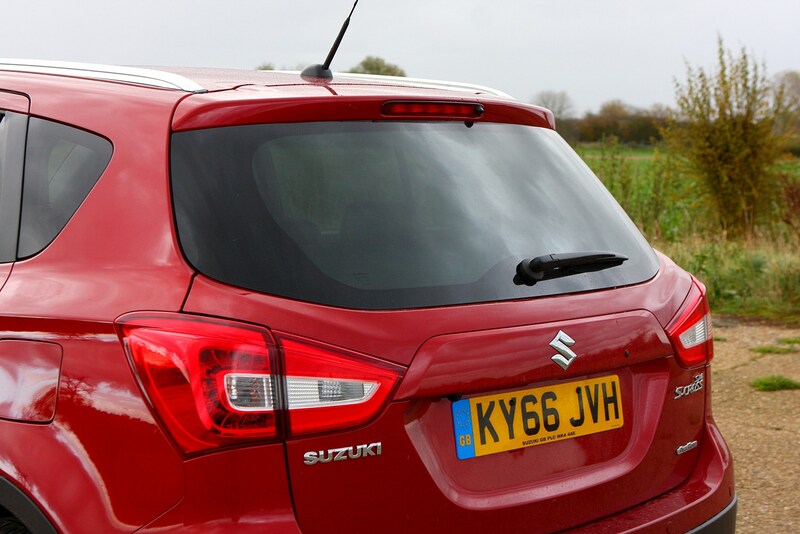 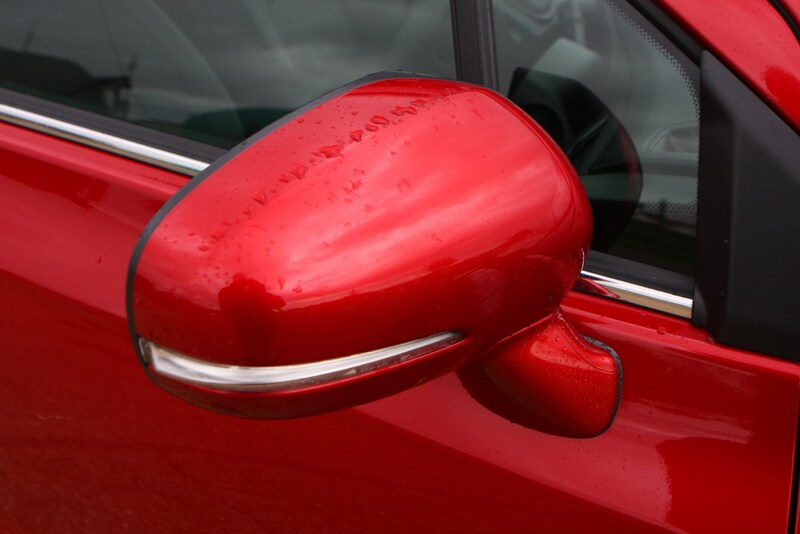 Despite Suzuki’s claims to be first to market with this, BMW offered a similar feature on its 1992 5 Series Touring, albeit with steel rather than glazed panels. 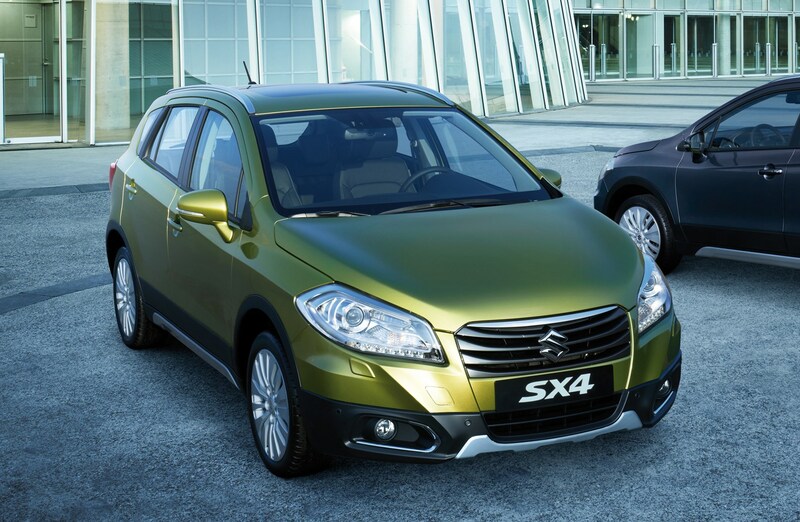 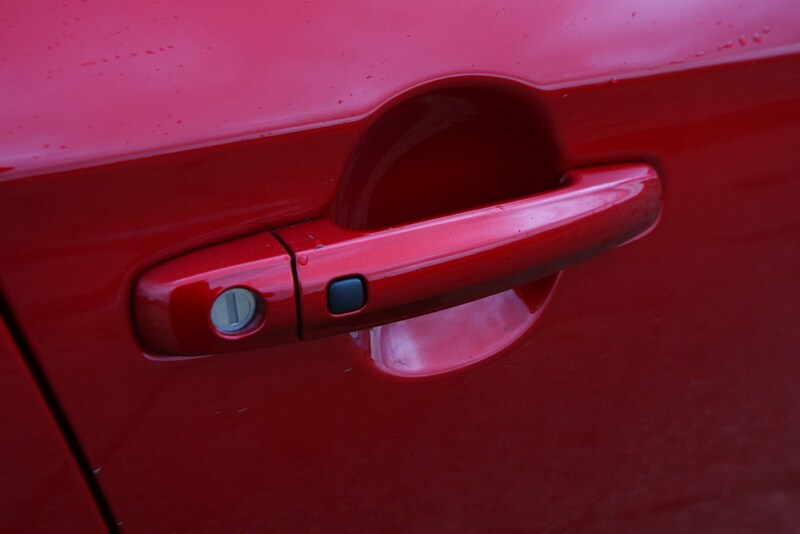 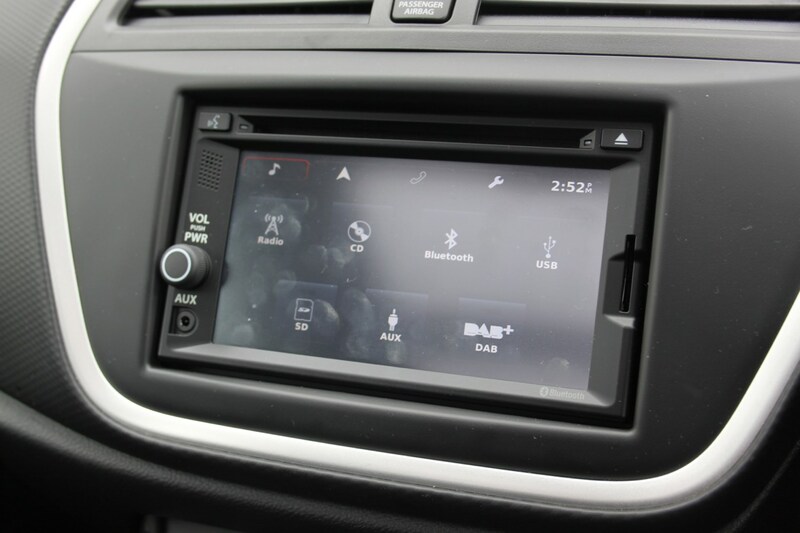 The previous-generation SX4 was popular for its compact dimensions and high levels of equipment. 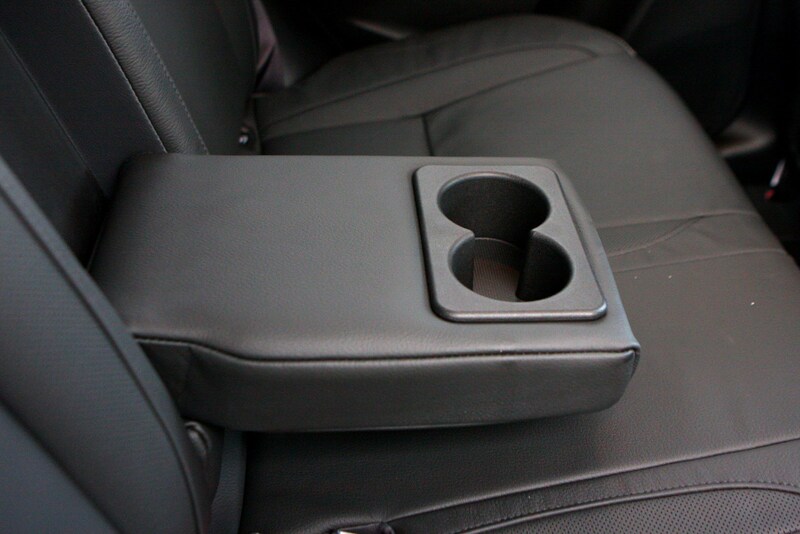 It was comfortable on the move and handled well too. 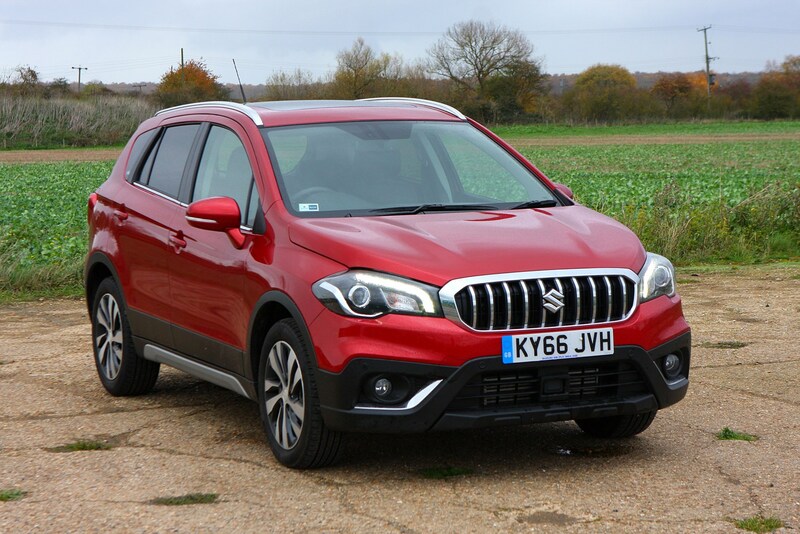 Of primary concern for this larger second generation version is that this market segment is highly competitive, evidenced by S-Cross sales being lower than expected over its first three years. 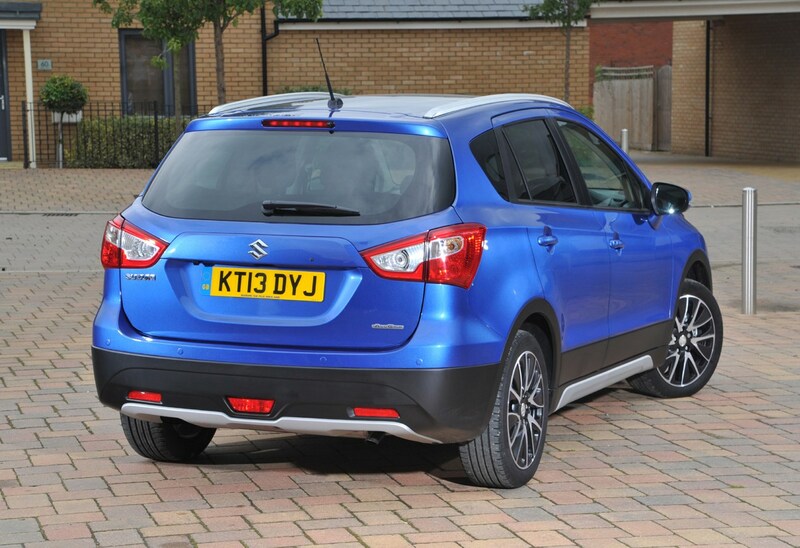 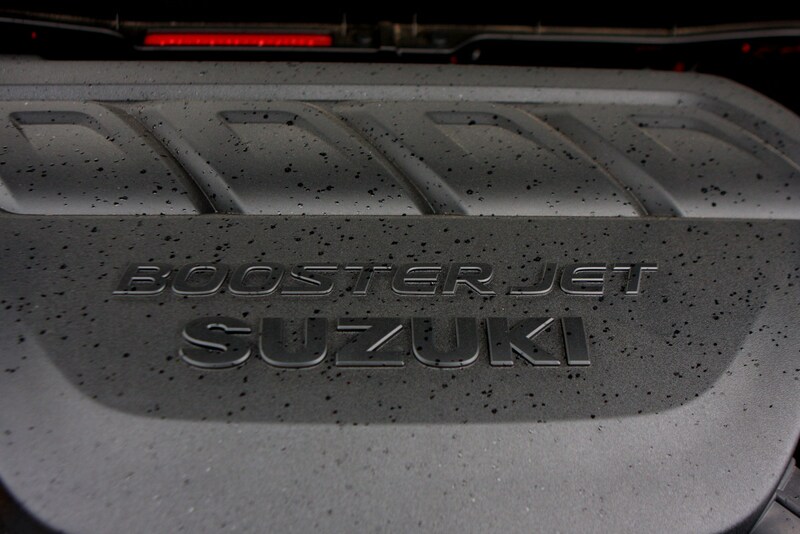 Suzuki’s management believes the more visually interesting 2016 version will revitalise sales. 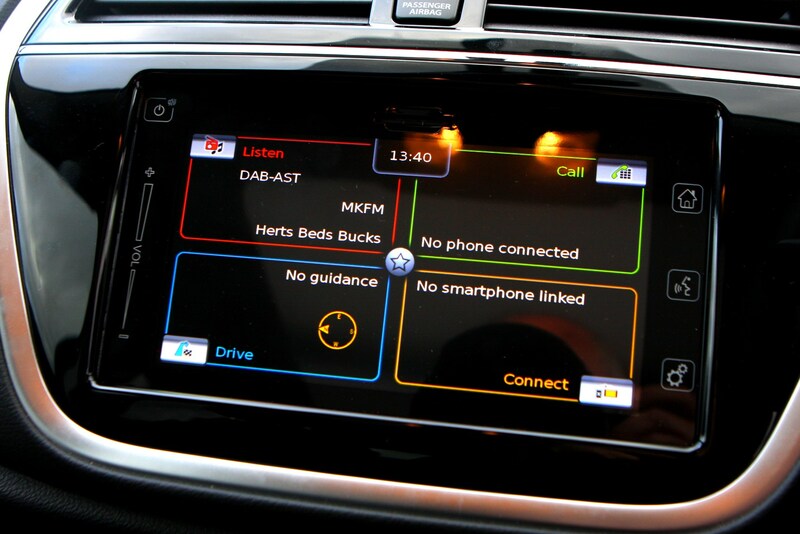 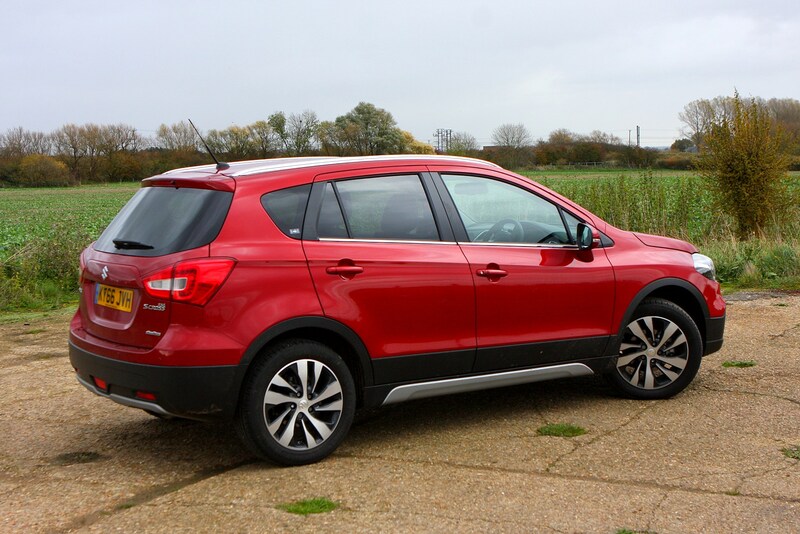 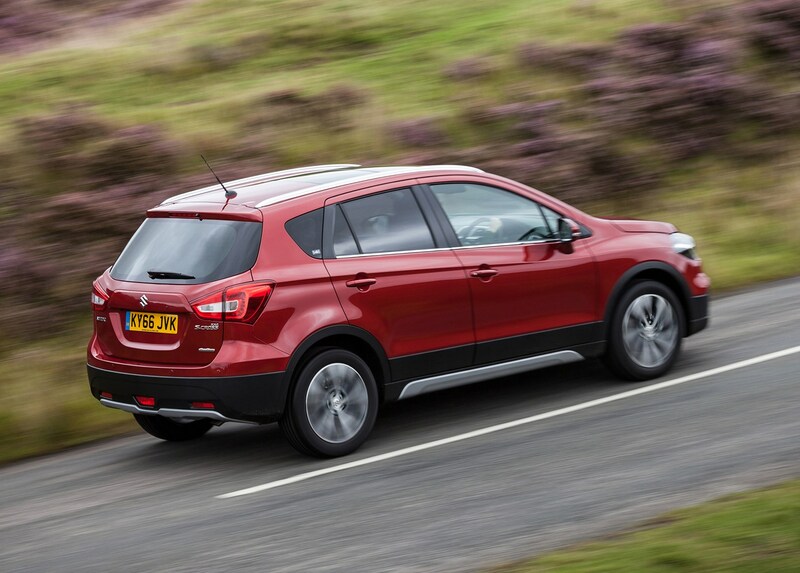 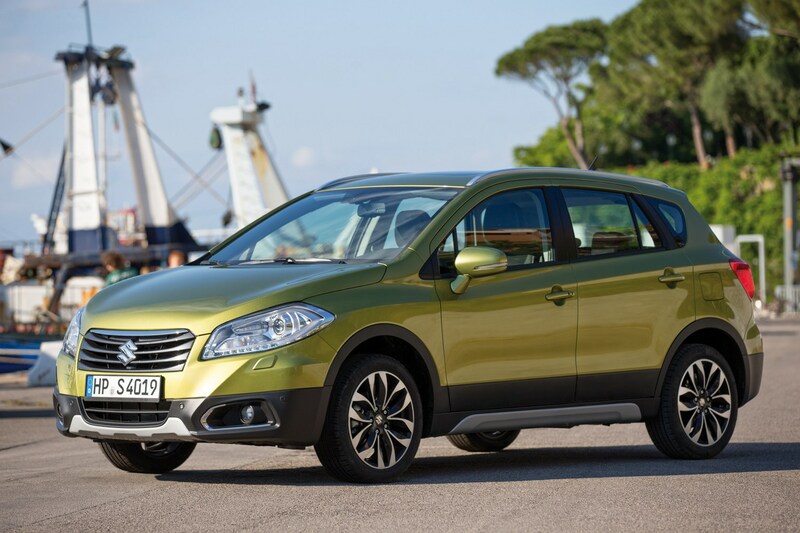 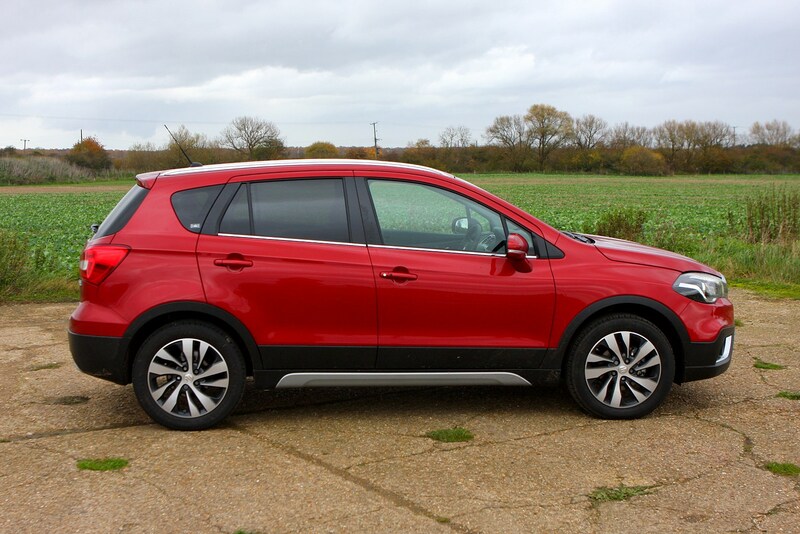 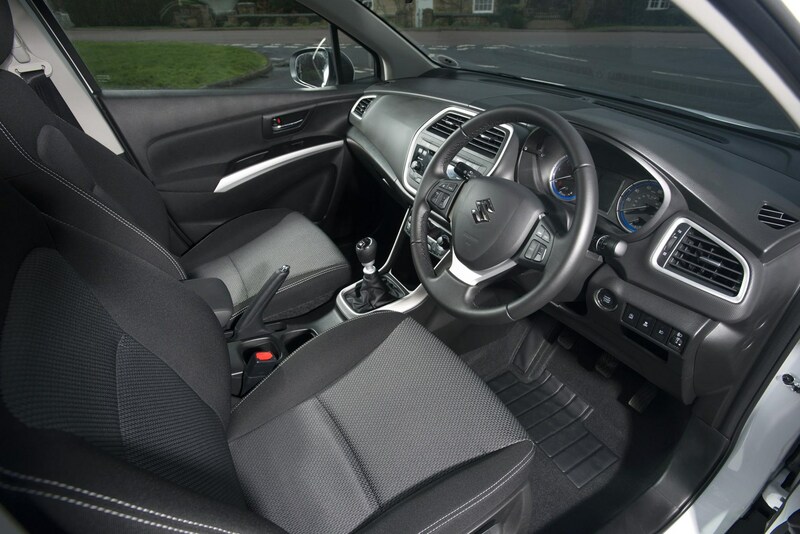 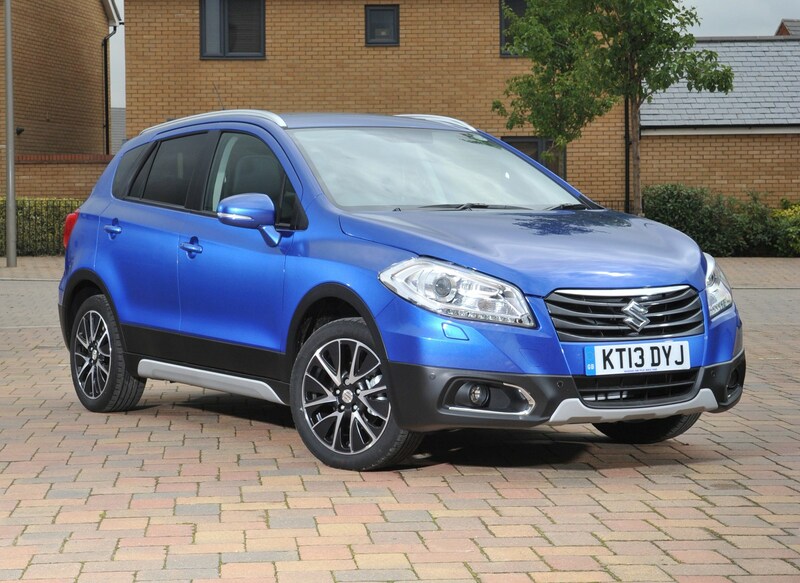 October 2013 – Launched as a larger replacement for the SX4 – which initially it sold alongside – the SX4 S-Cross is a five-seater SUV packed with equipment in a value-for-money offer. 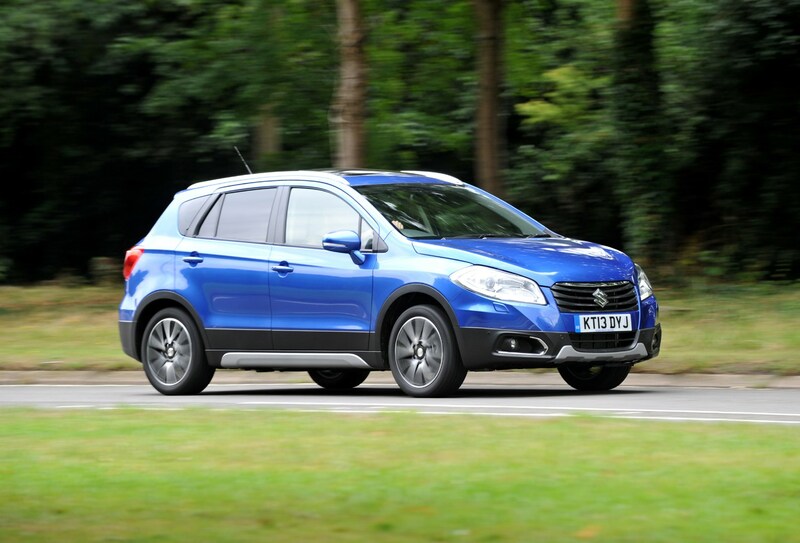 From launch SZ3, SZ4, the fleet-focused SZ-T and the range-topping SZ5 trim structure was offered, with a choice of a 1.6-litre petrol engine alongside the 1.6-litre DDiS diesel. 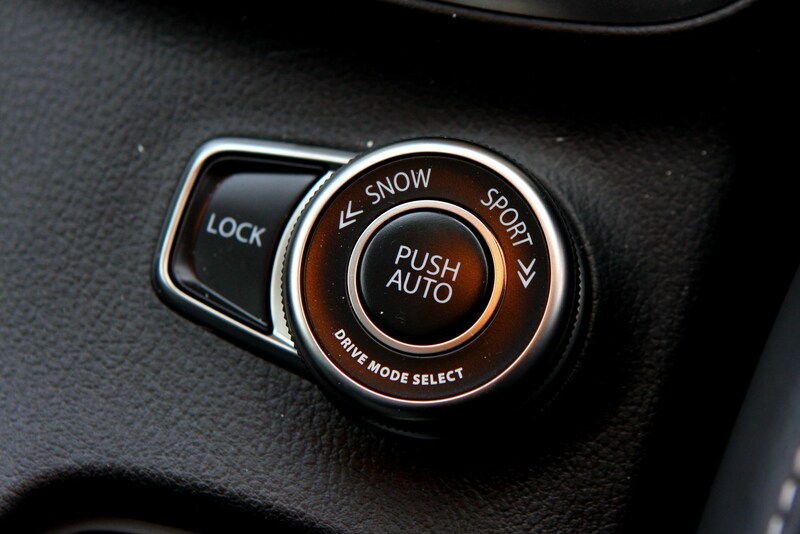 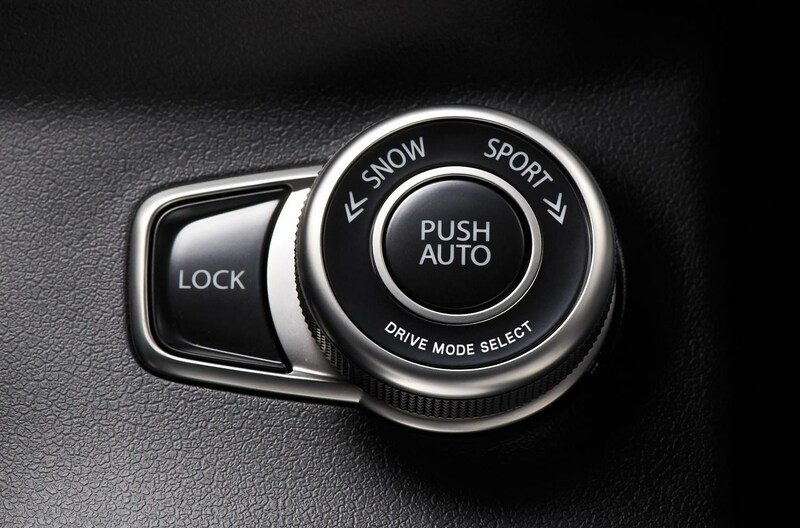 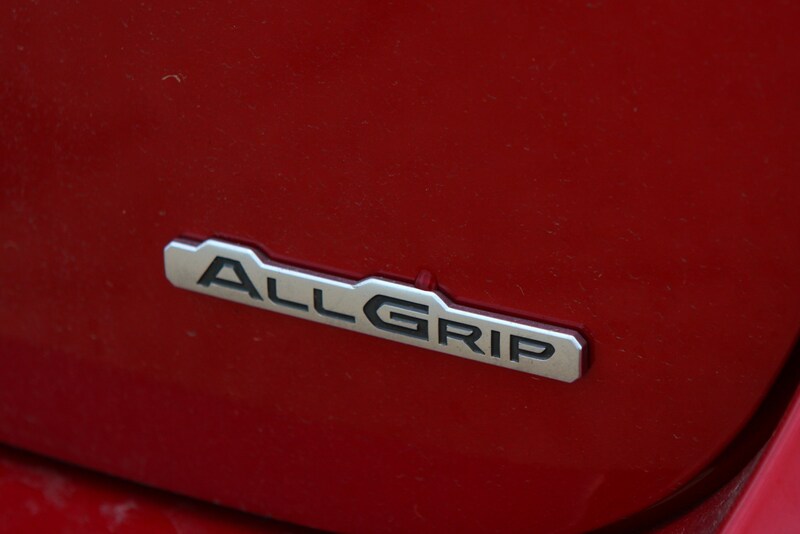 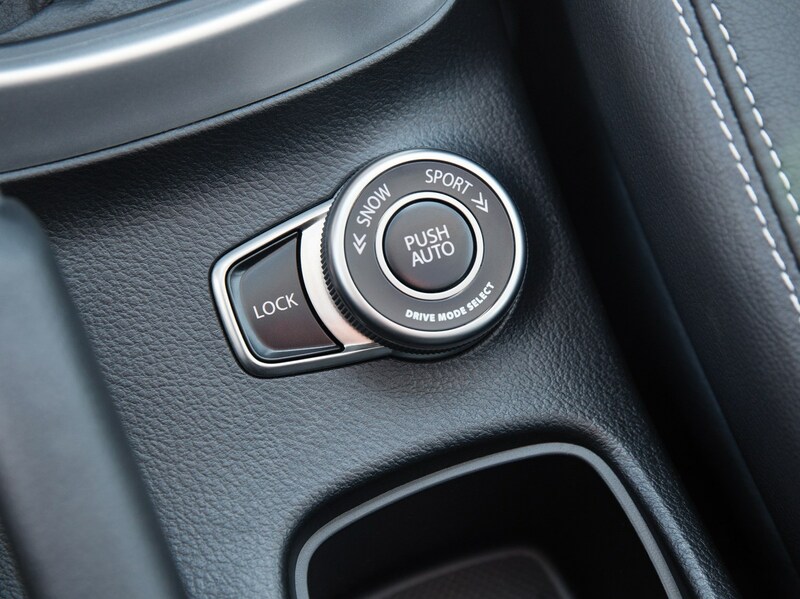 AllGrip four-wheel drive is also available on selected models. 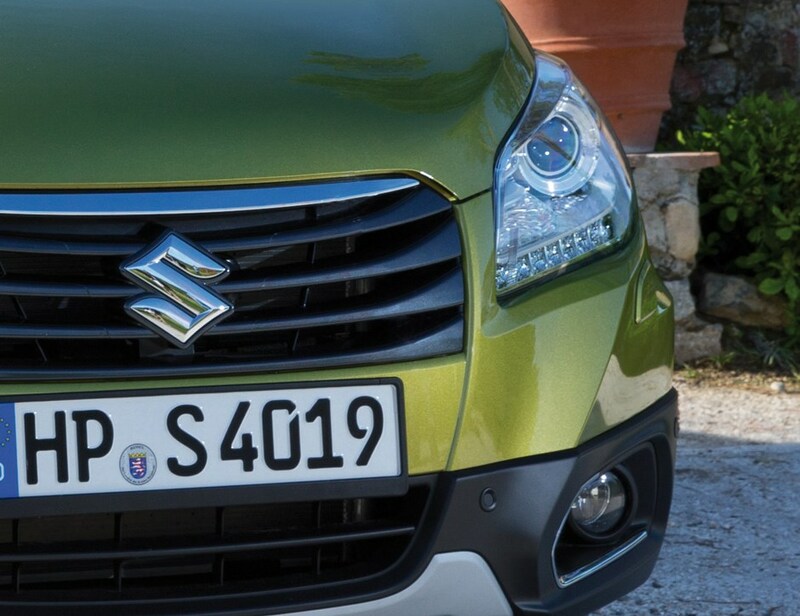 October 2014 – Aimed squarely at fleet buyers, the SZ-T trim is a direct replacement for the previous SZ4 petrol models. 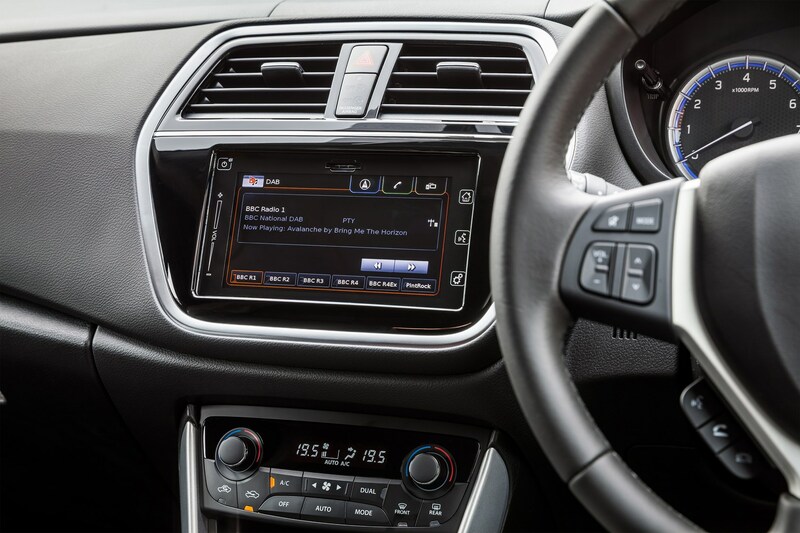 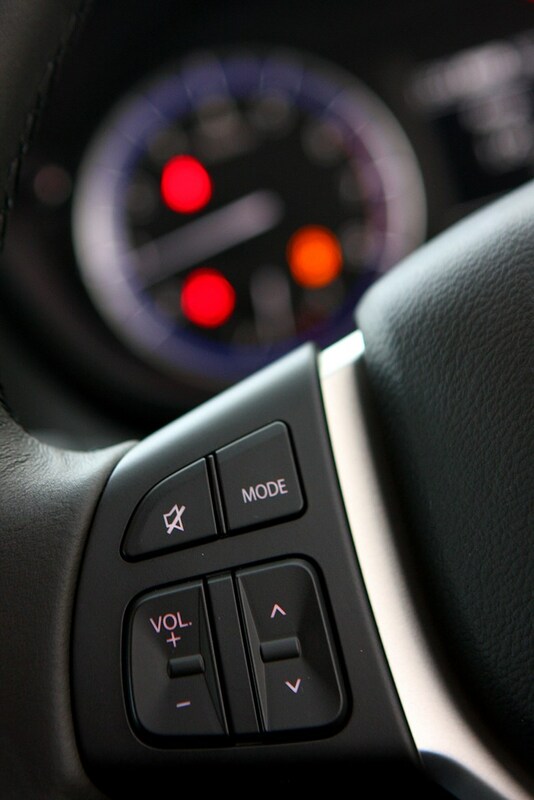 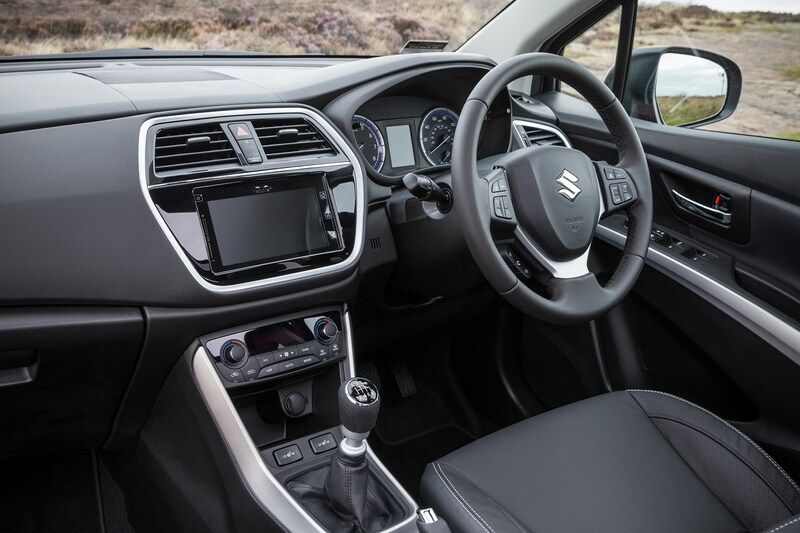 Available in 1.6-litre CVT automatic and 1.6-litre AllGrip manual forms, the SZ-T package includes sat-nav, DAB radio, polished 17-inch alloy wheels and dual-zone climate control. 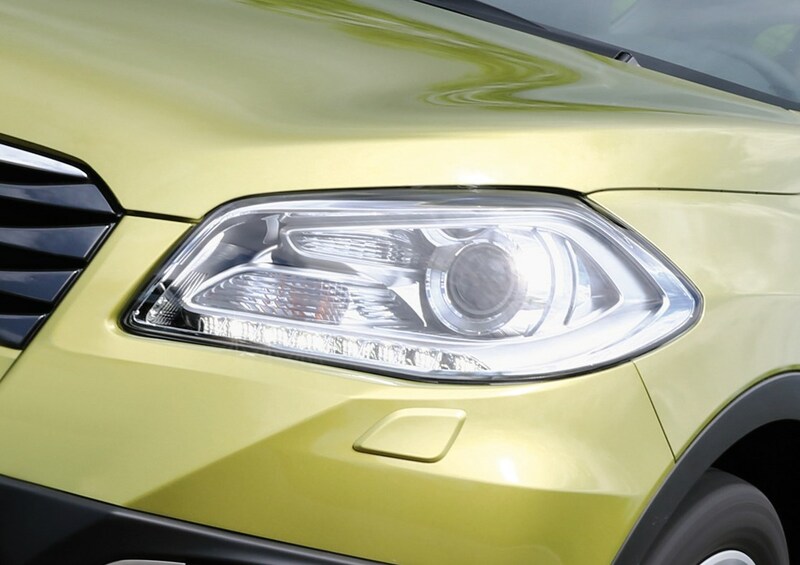 October 2016 – Major facelift for the range includes a new bonnet, bold chrome-look grille, reprofiled bumpers and new lights front and rear. 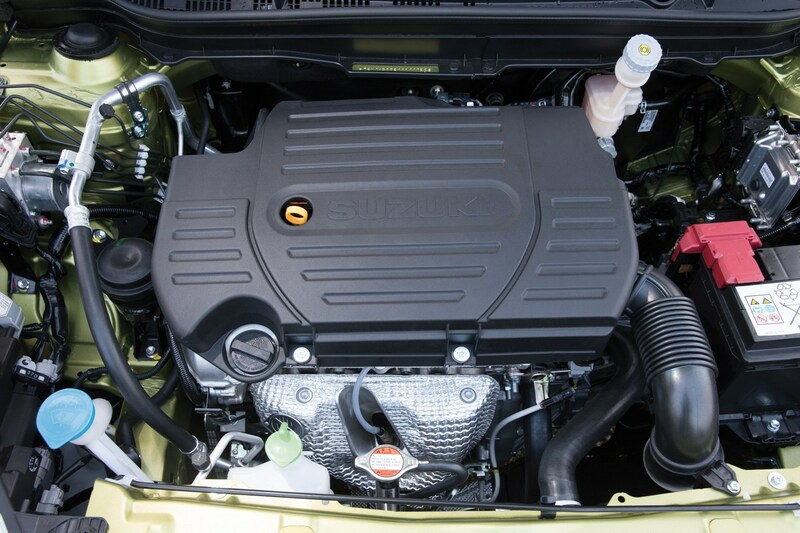 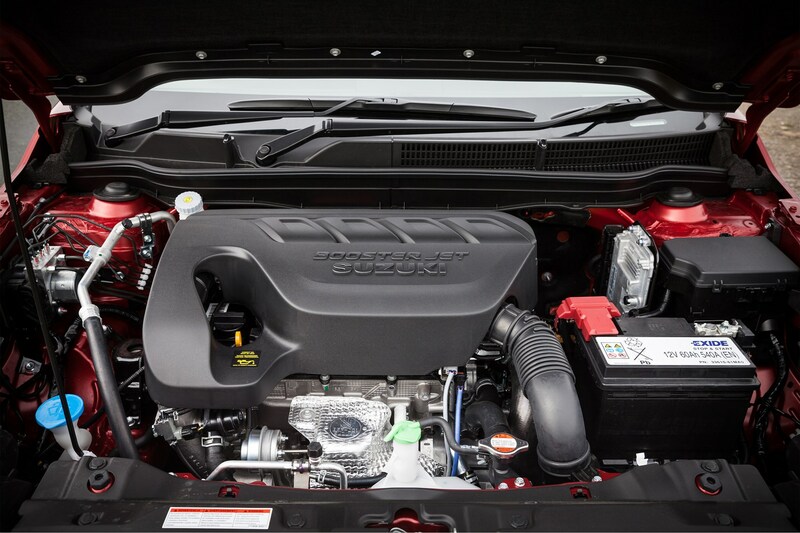 While the 1.6-litre DDiS diesel is carried over, the petrol engines are replaced by 1.0- and 1.4-litre Boosterjet turbos. 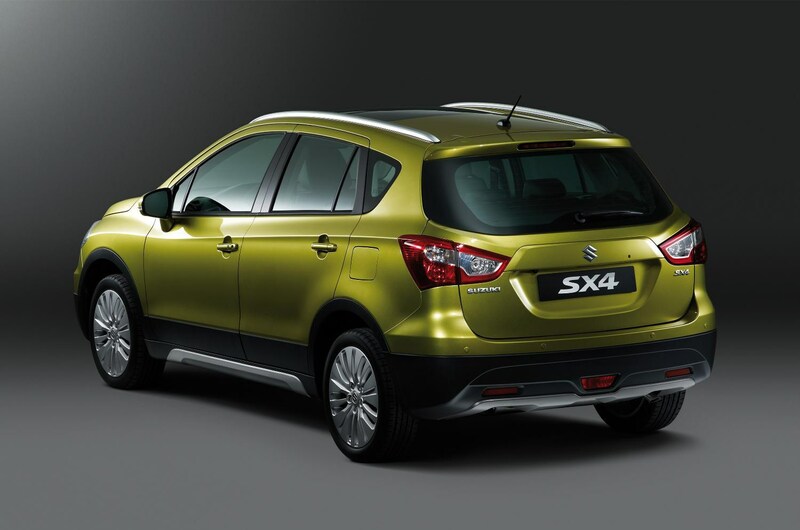 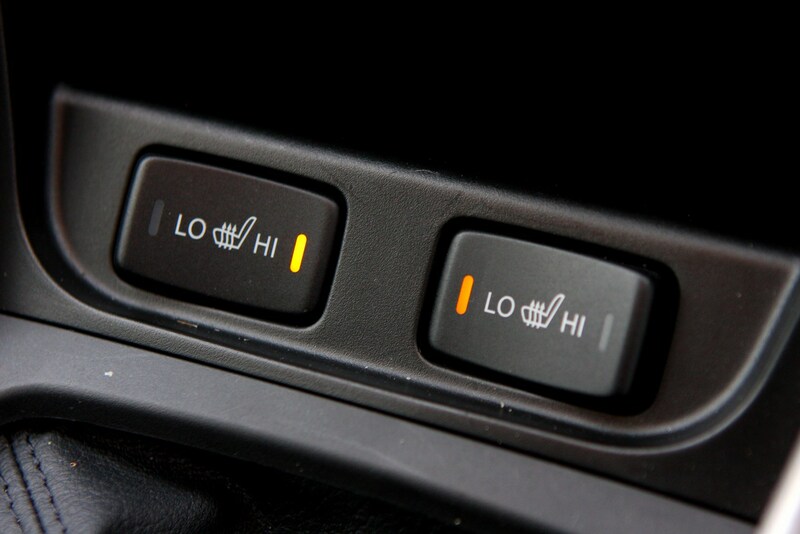 Trim levels are realigned to SZ4, SZ-T and SZ5, with AllGrip four-wheel drive available across the range. 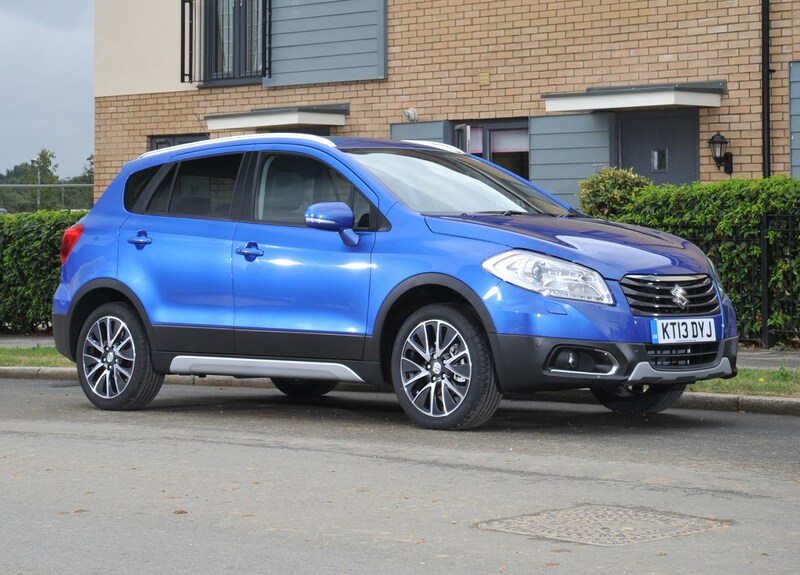 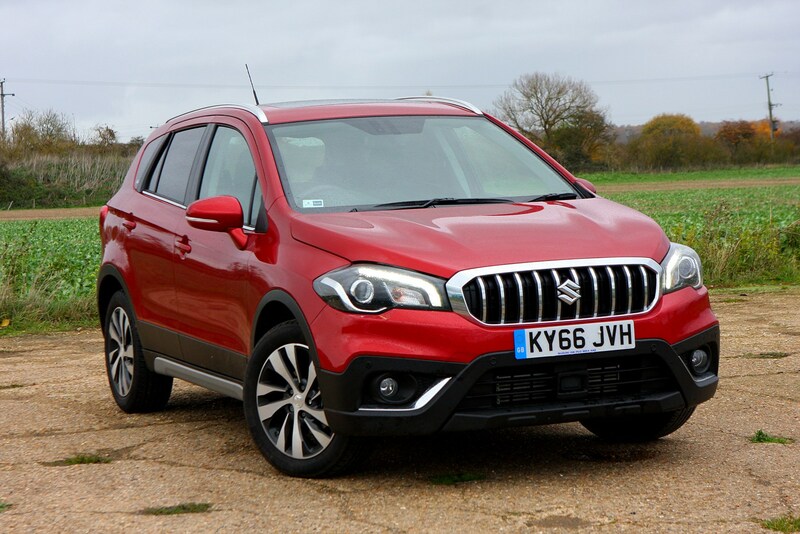 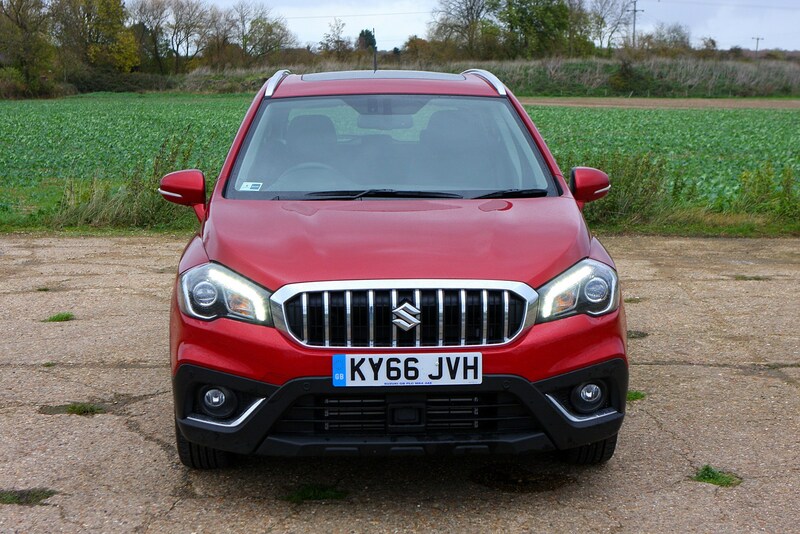 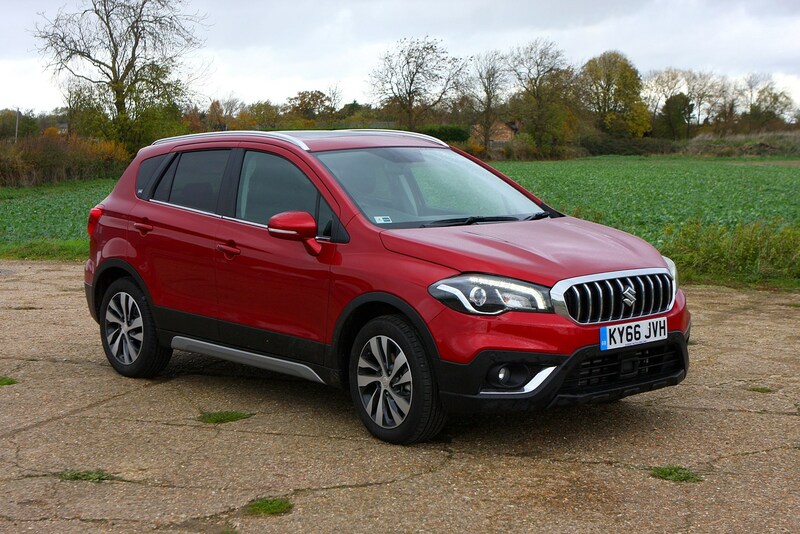 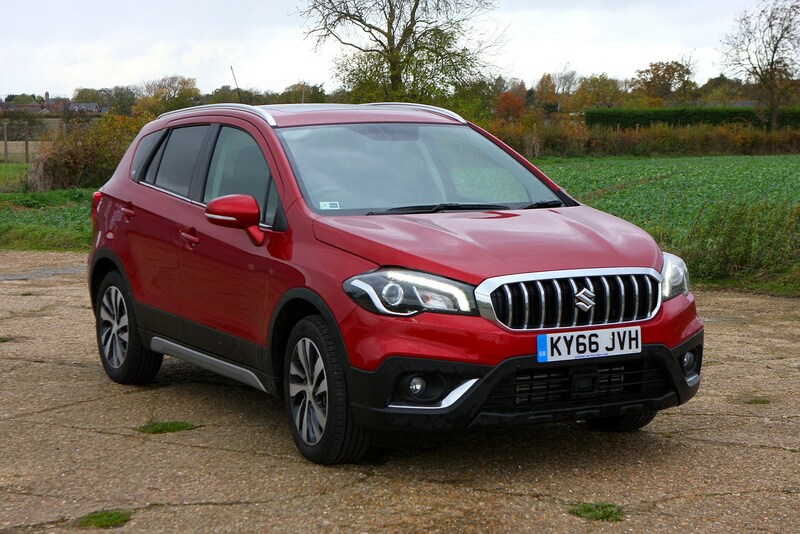 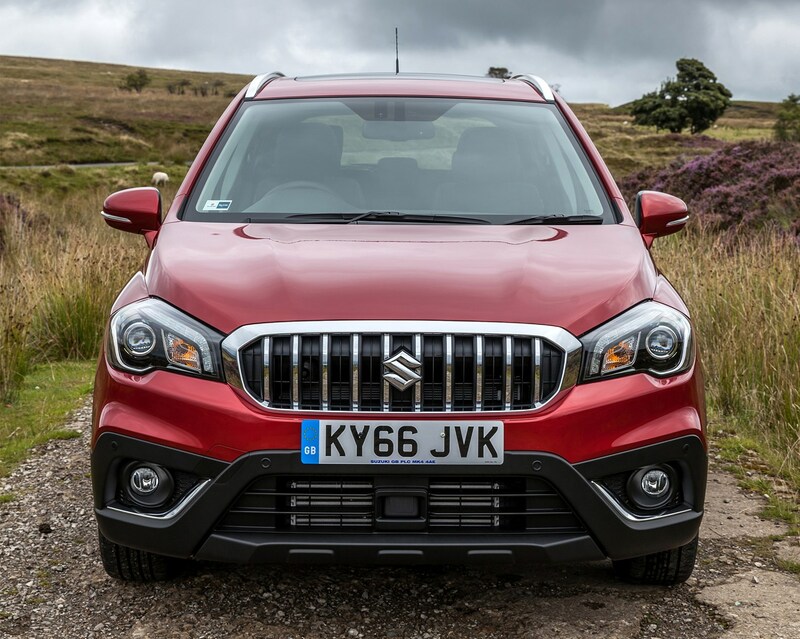 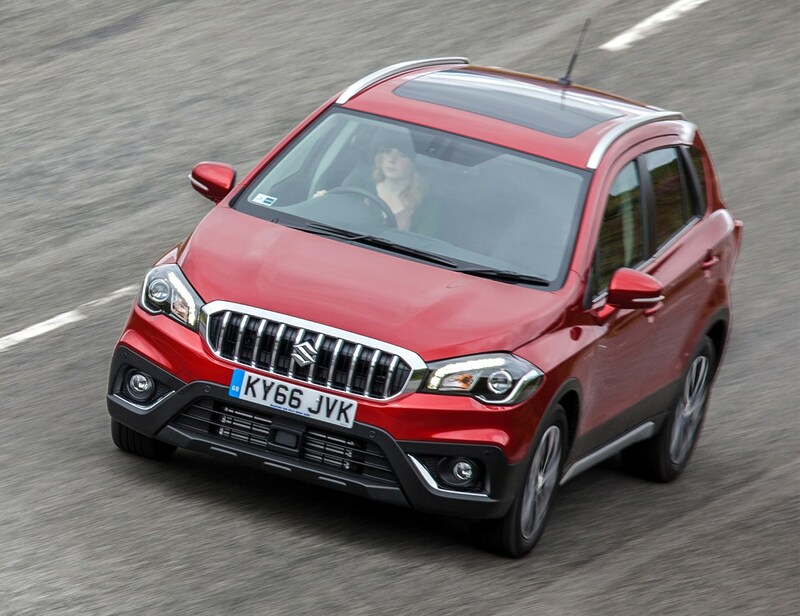 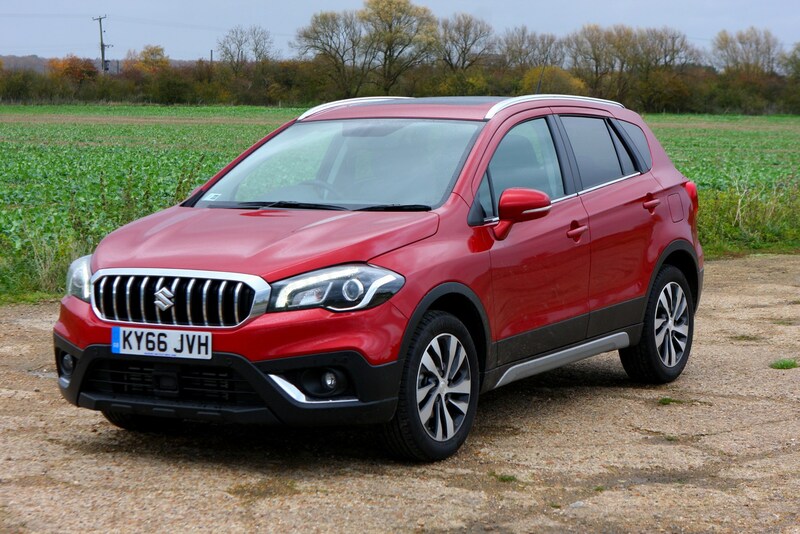 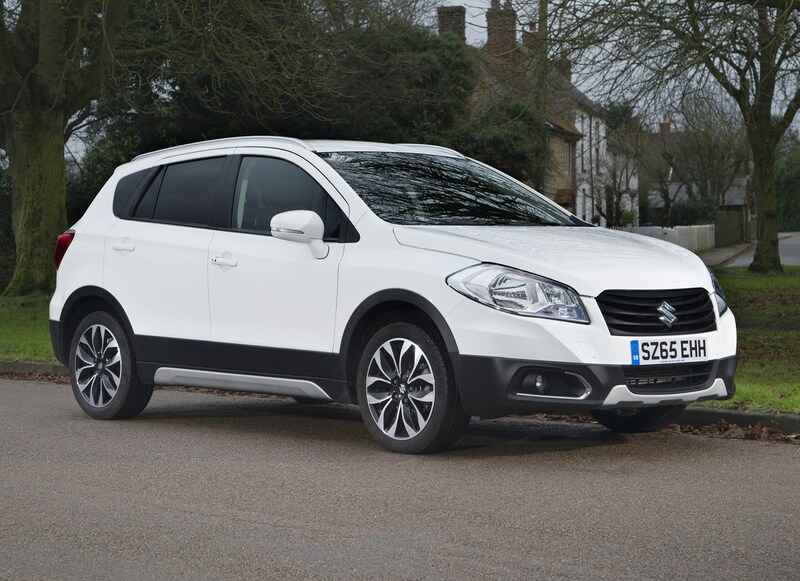 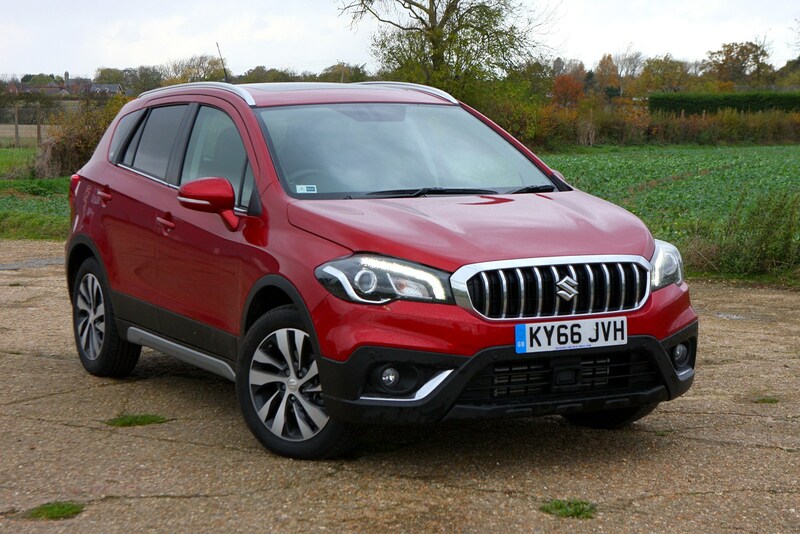 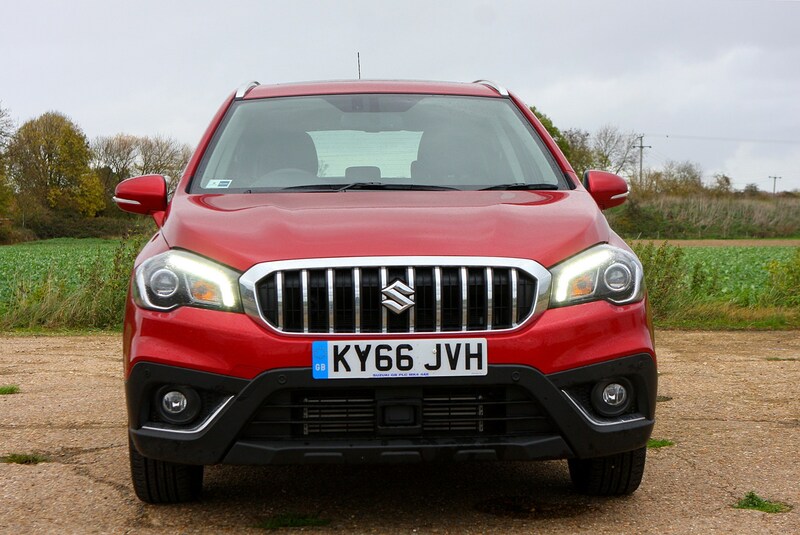 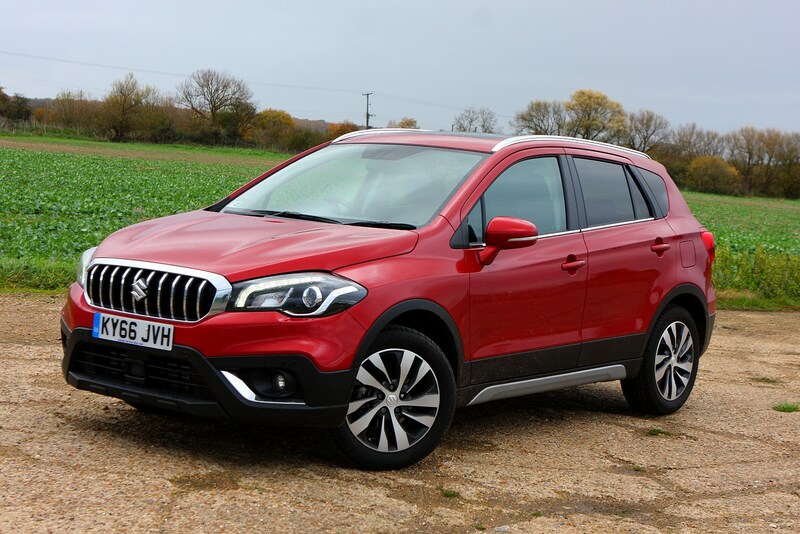 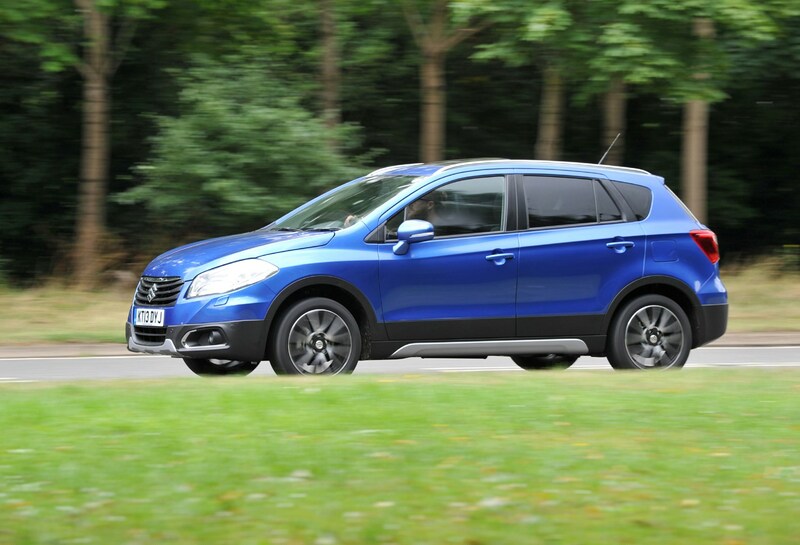 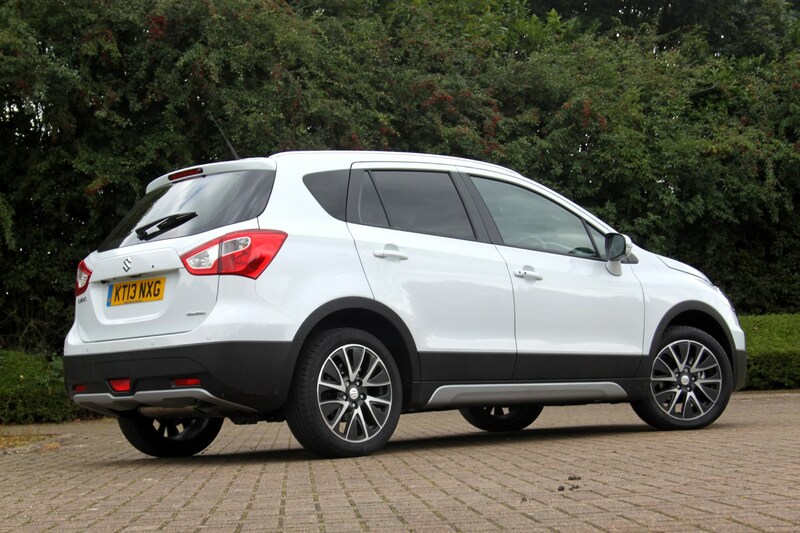 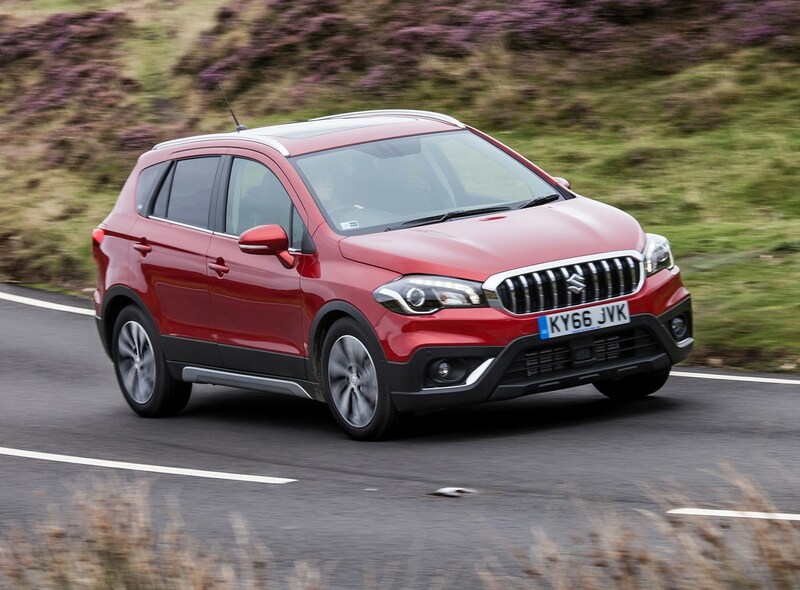 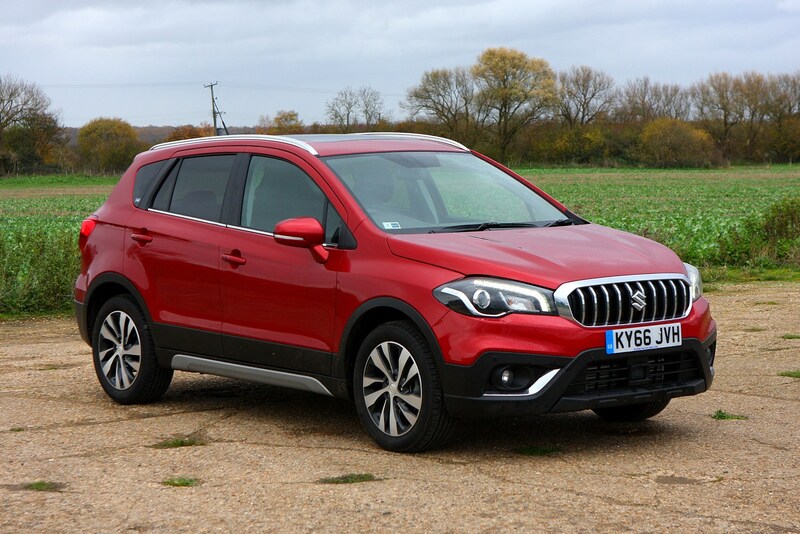 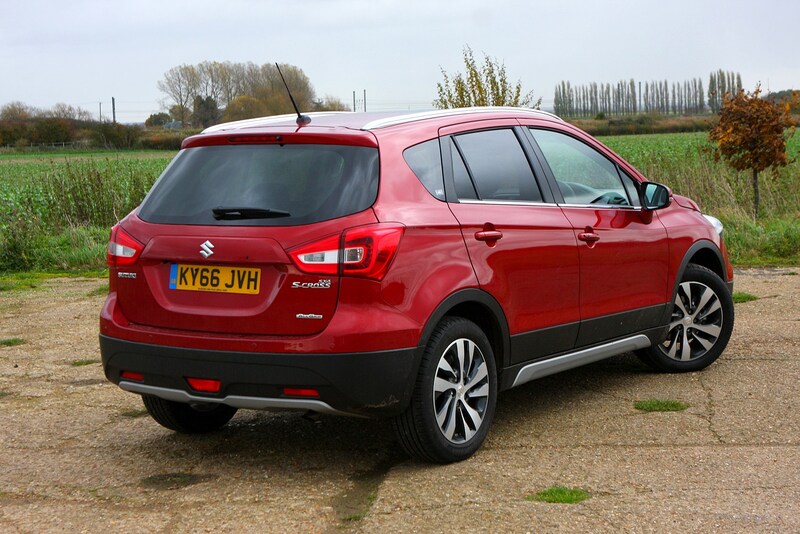 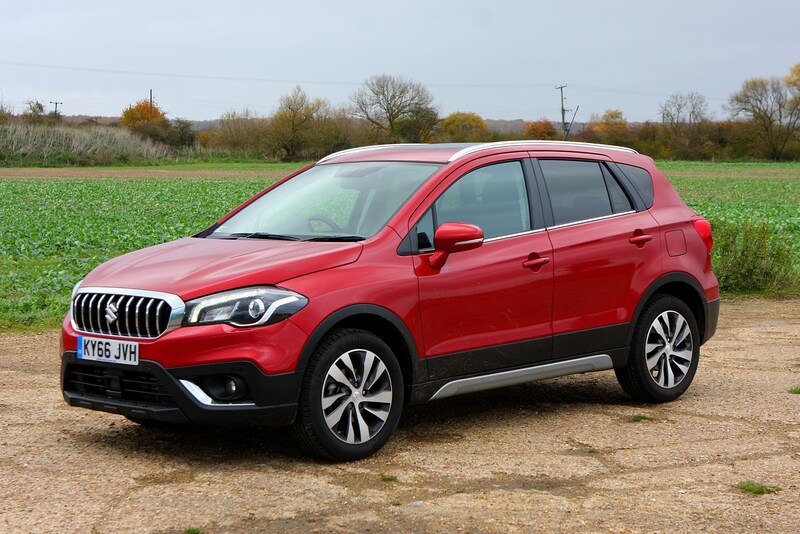 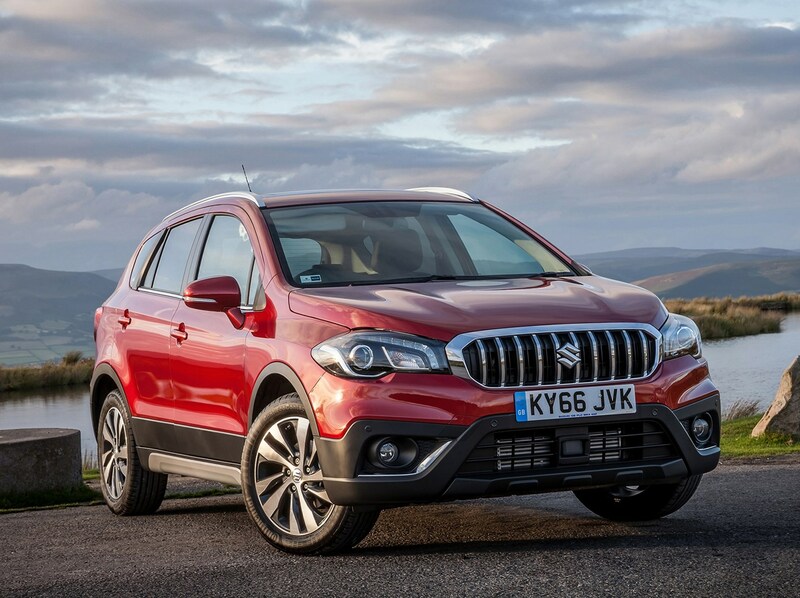 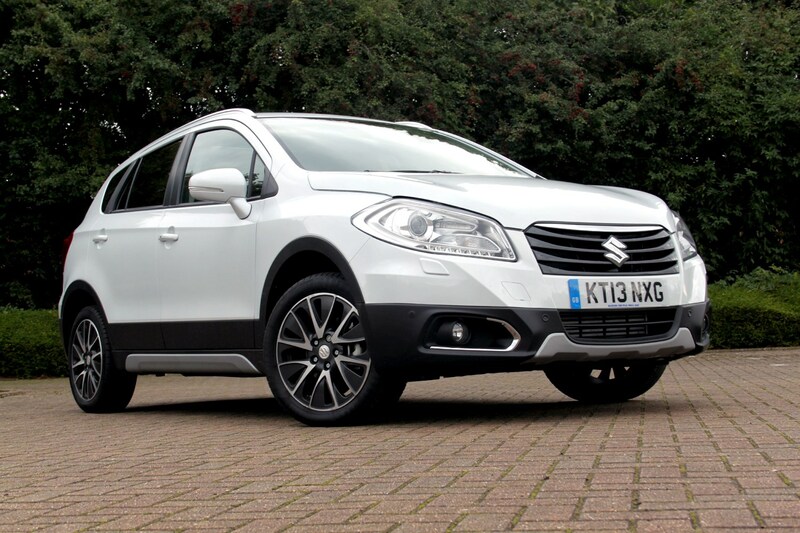 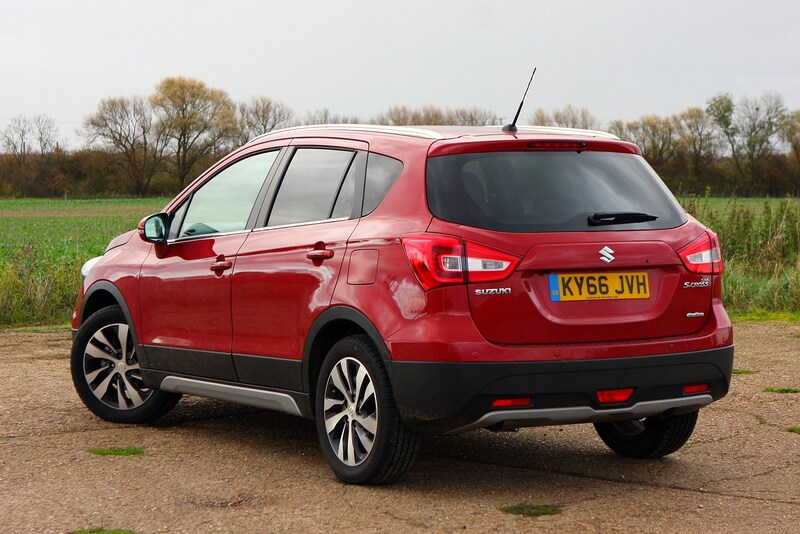 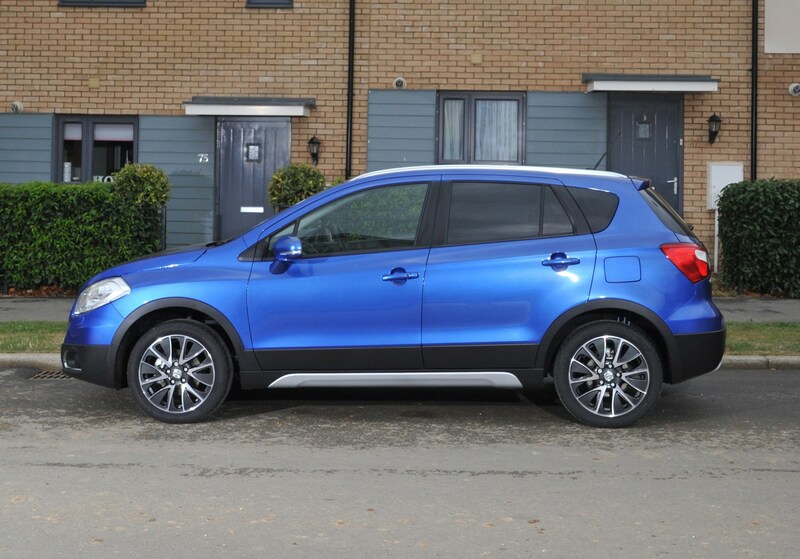 To find out everything you need to know and a little bit more besides, read on for Parkers’ full Suzuki SX4 S-Cross review. 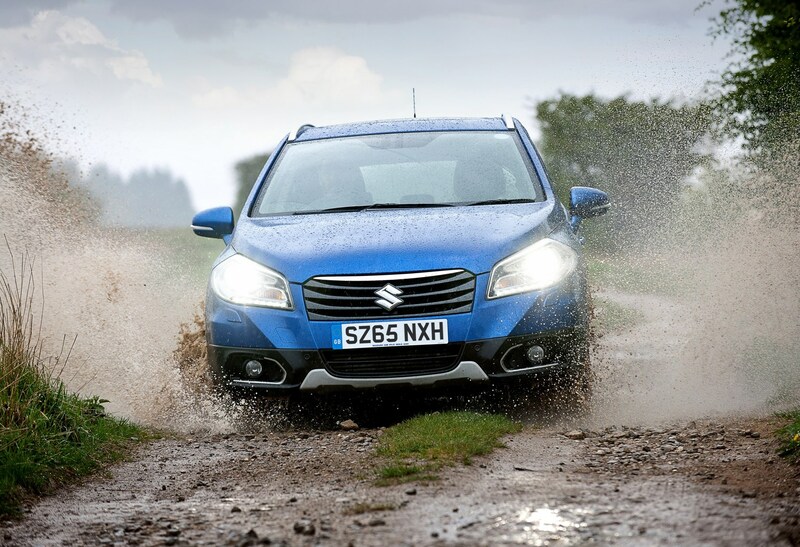 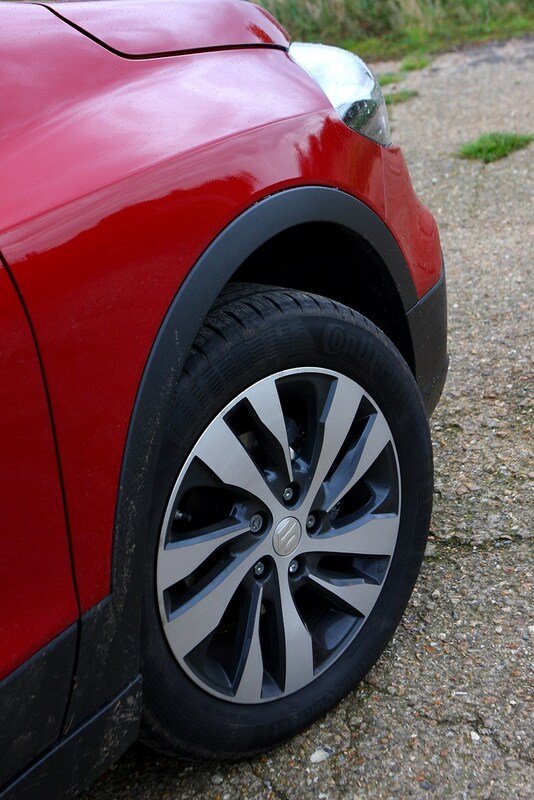 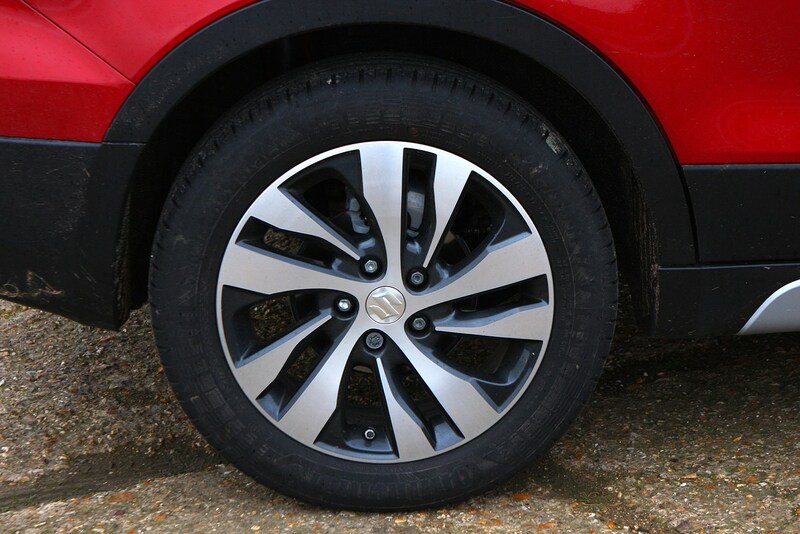 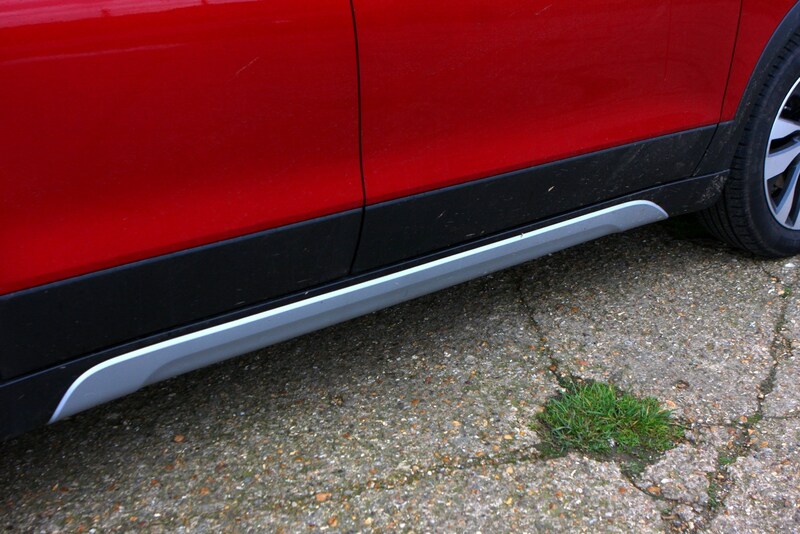 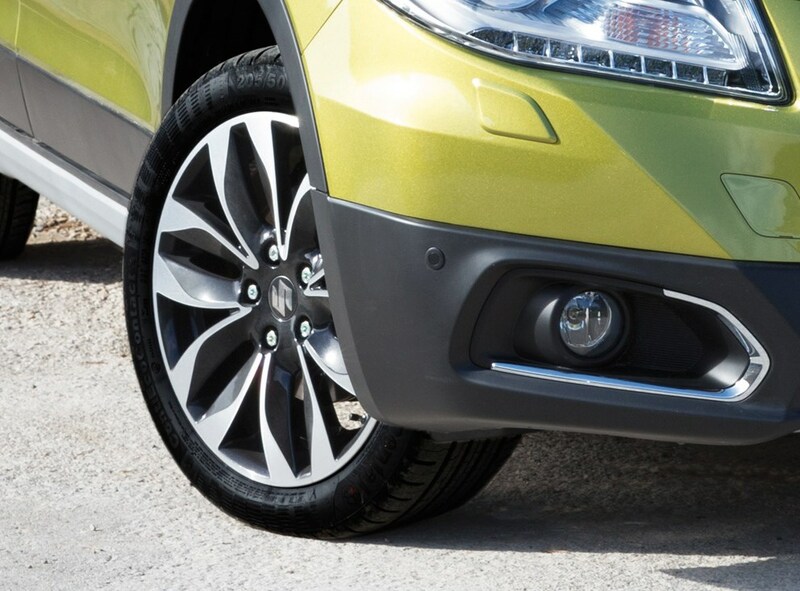 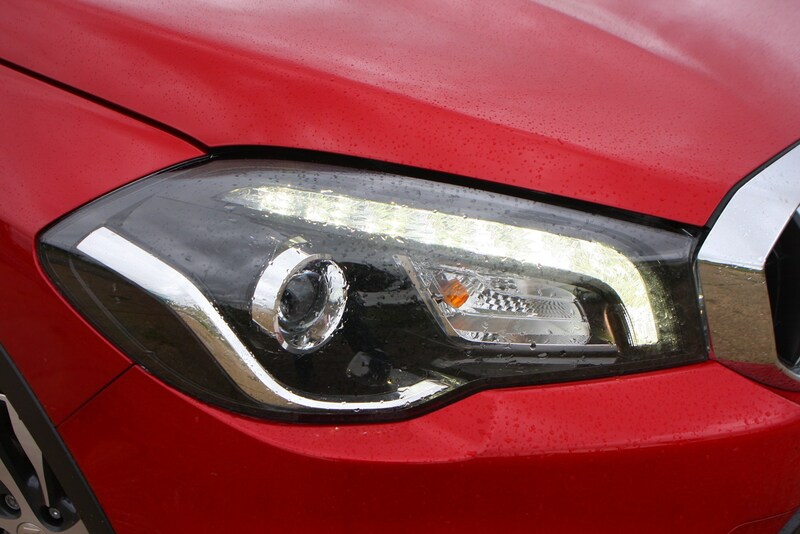 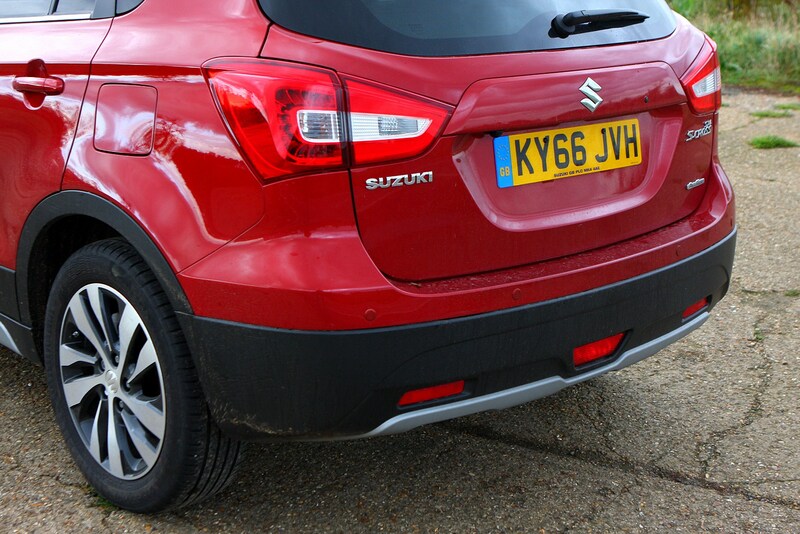 Suzuki S-Cross: Is AllGrip worth it?